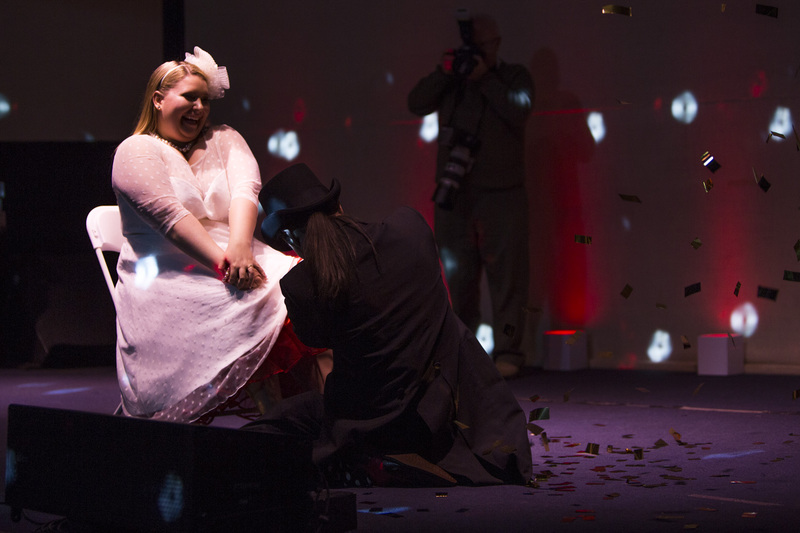 William and Heather Rowlett were married on September 9th, 2017 in Knoxville, TN. 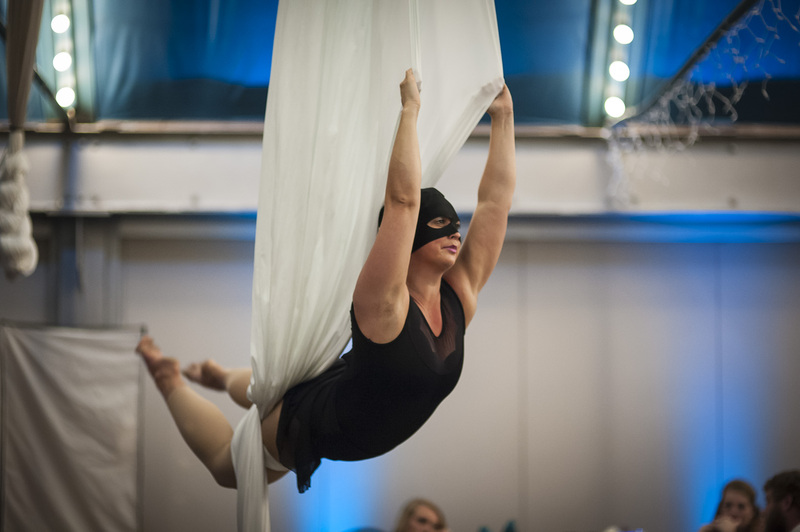 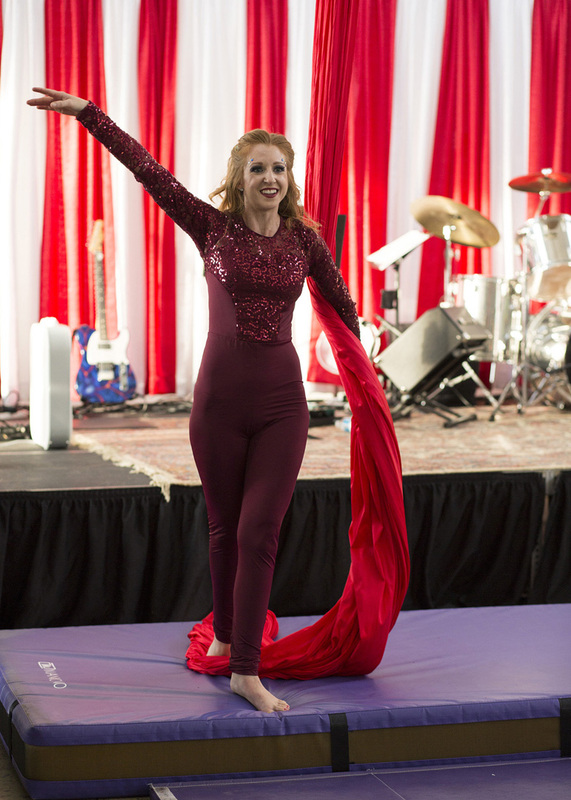 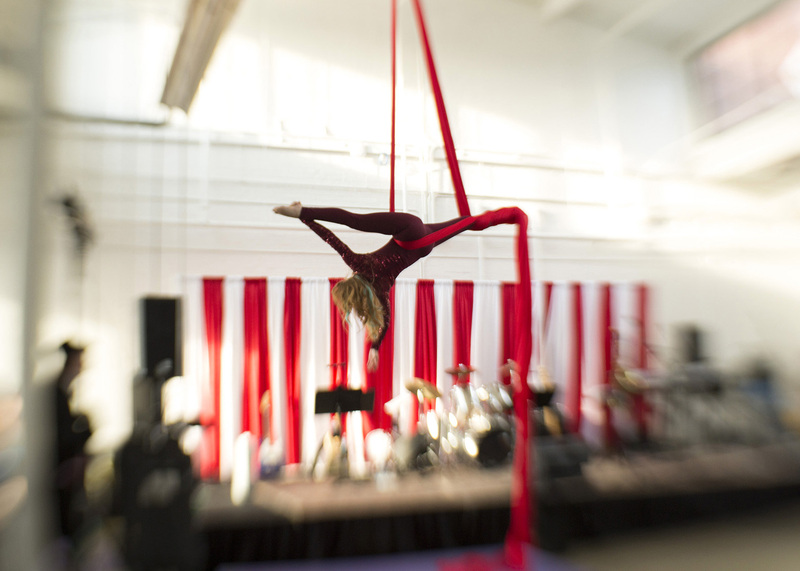 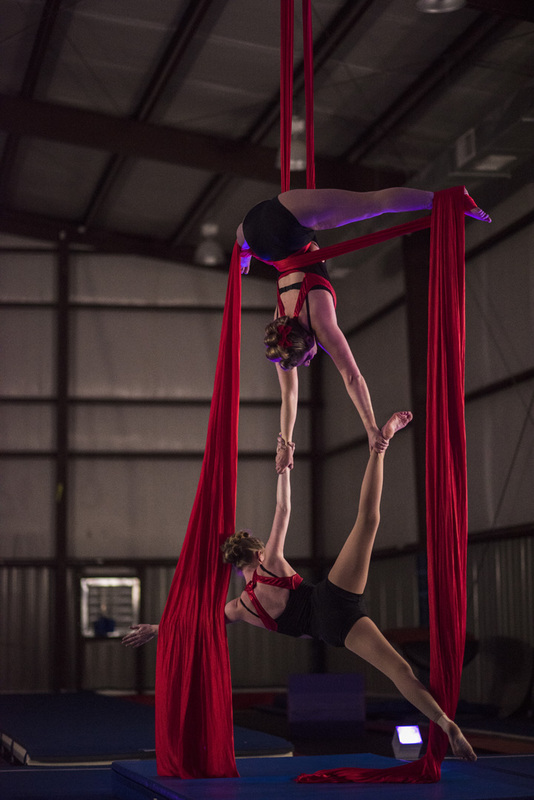 Heather is an aerialist who used to teach for us, so we were honored by the opportunity to perform at her wedding! 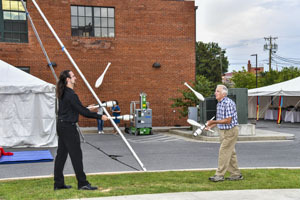 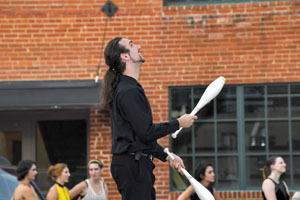 As part of an annual collaboration with the Virginia Highlands Festival, the Night Owls provided outdoor entertainment for the Virginia Highlands Festival. 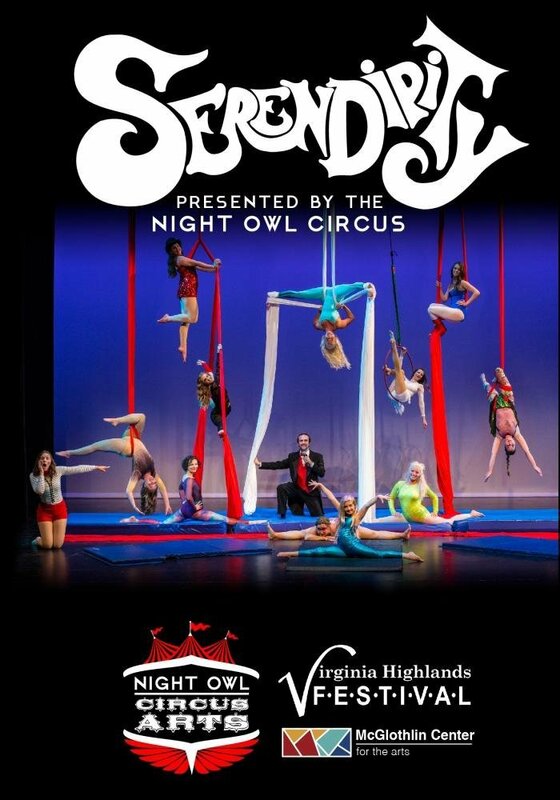 Serendipity was our first annual performance for the Virginia Highlands Festival at the beautiful McGlothlin Theater on Emery and Henry Campus. 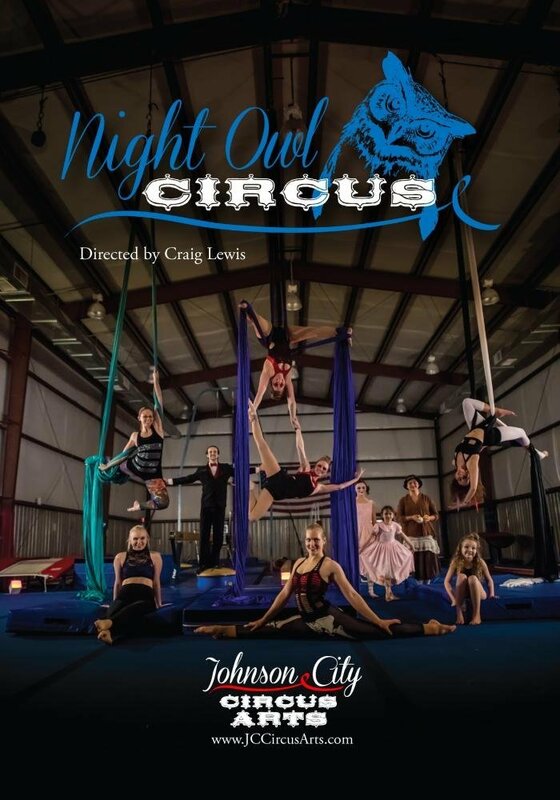 The Night Owls were honored to perform for this Tennessee Bar Association event in Kingsport, sponsored by Eastman! 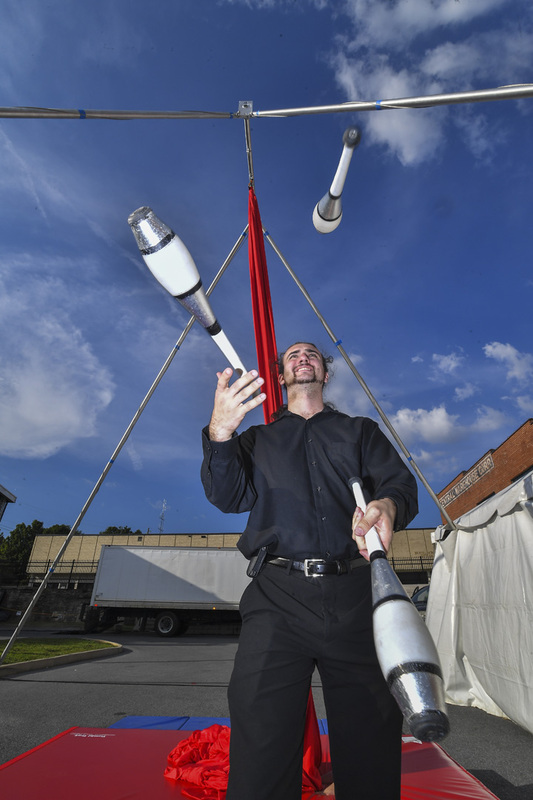 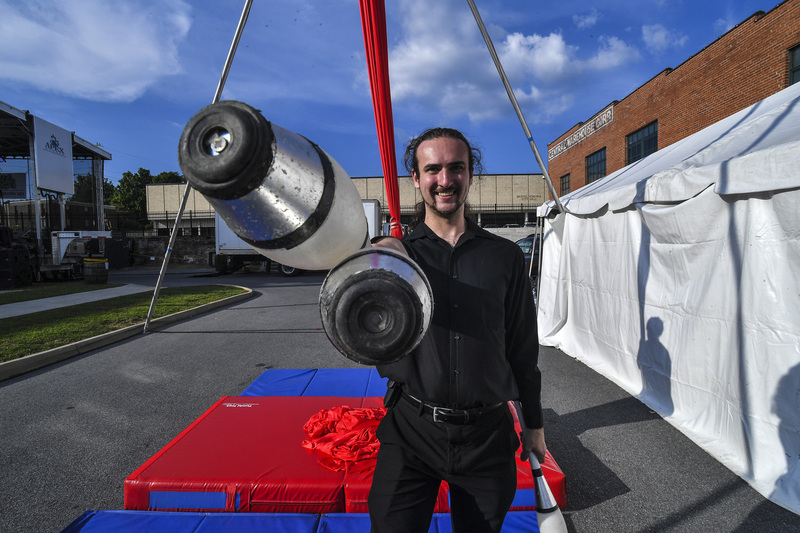 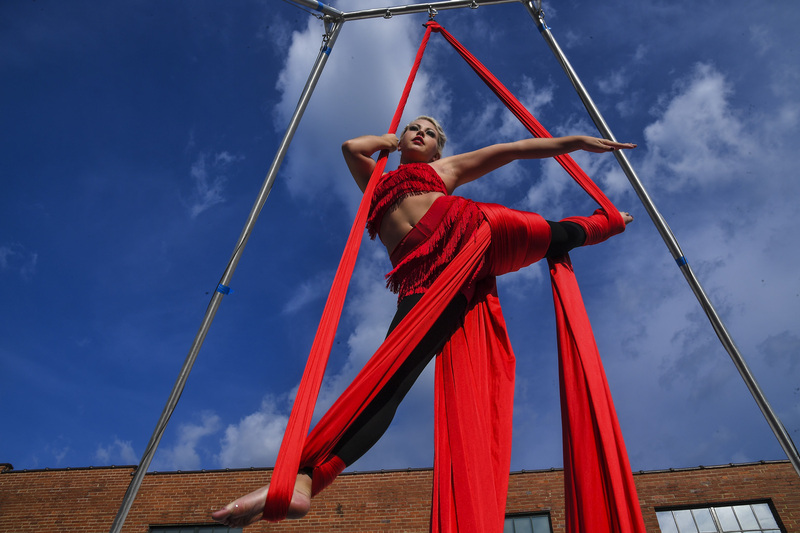 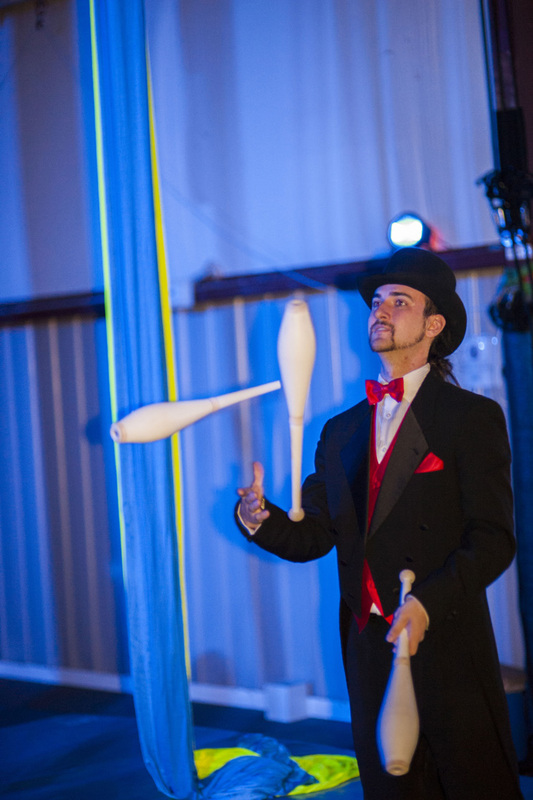 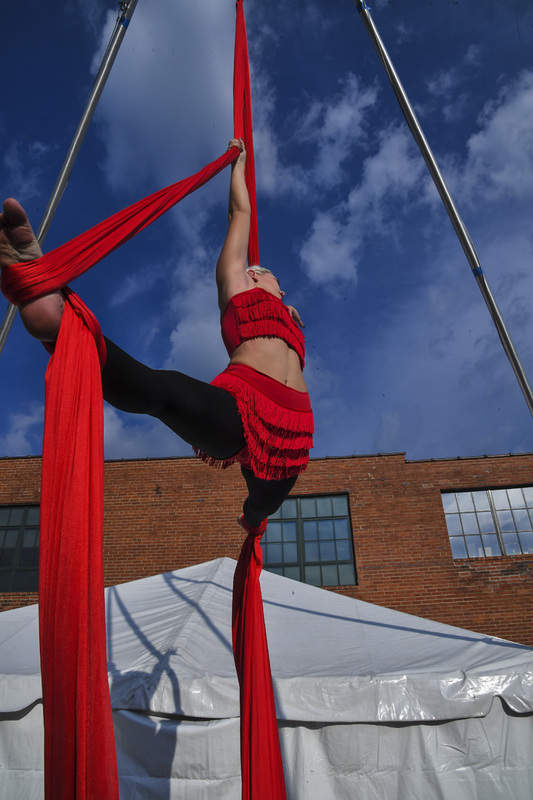 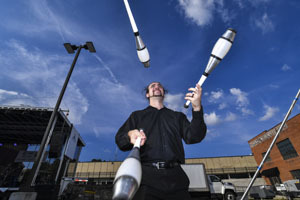 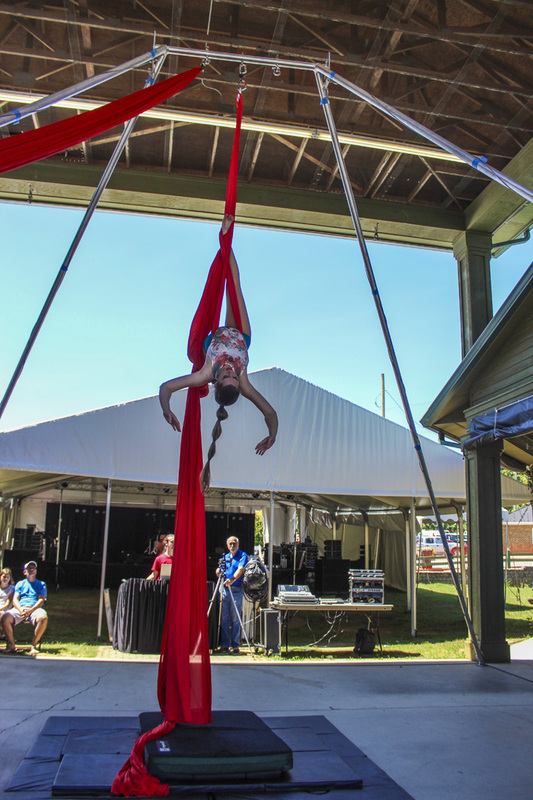 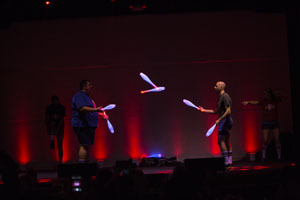 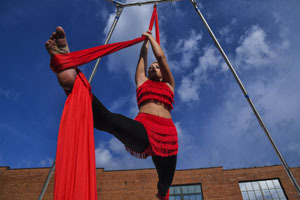 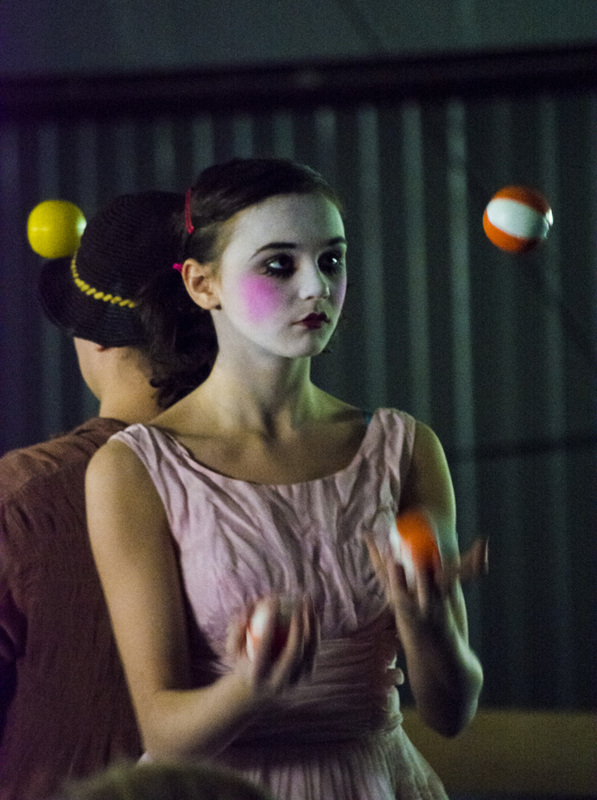 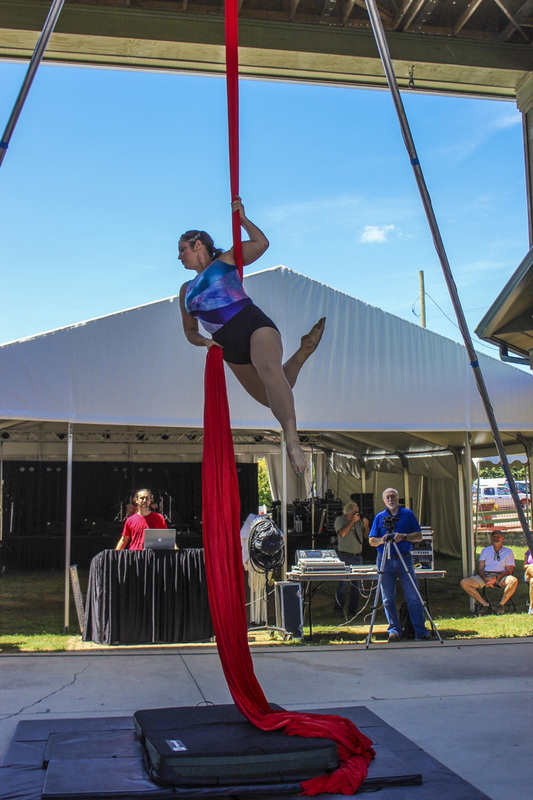 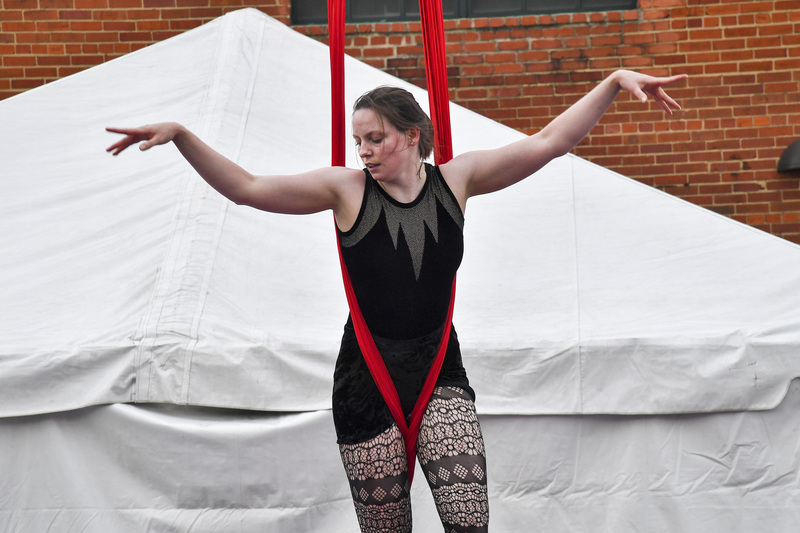 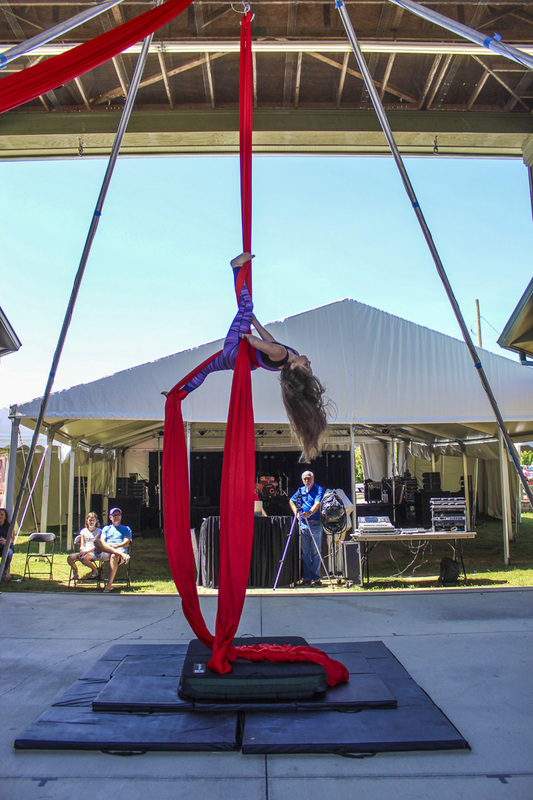 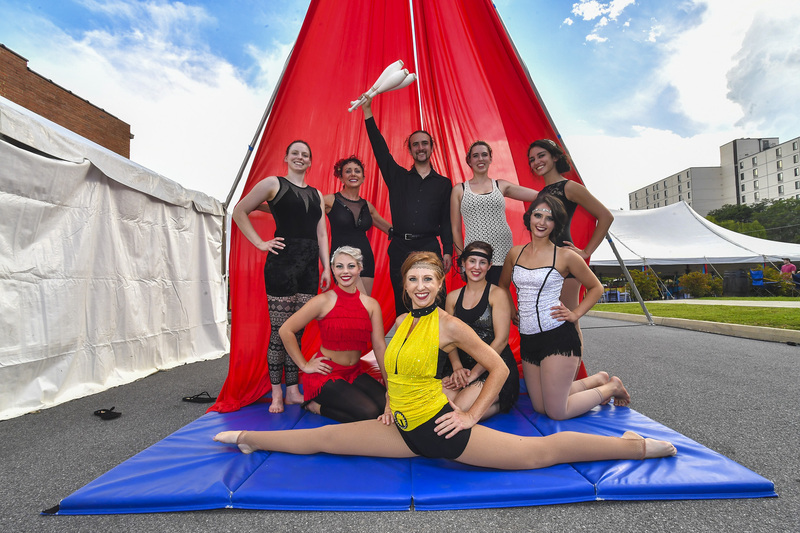 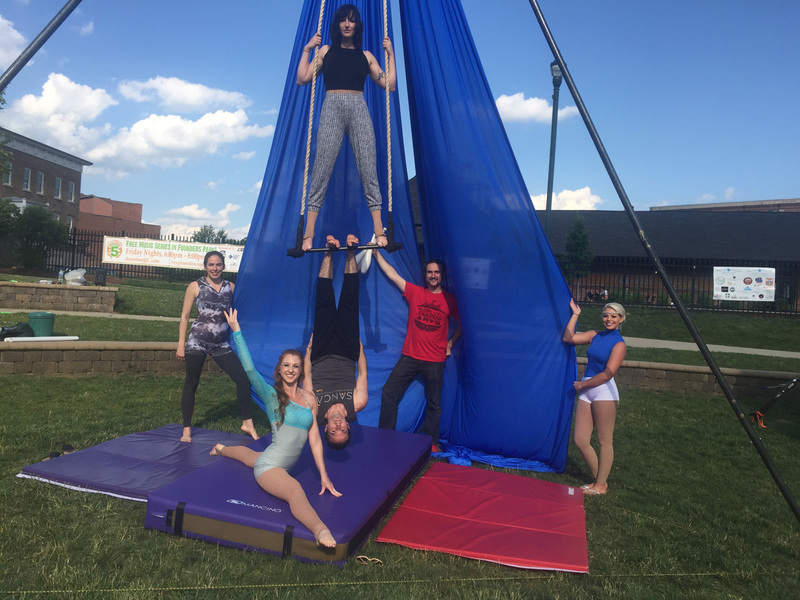 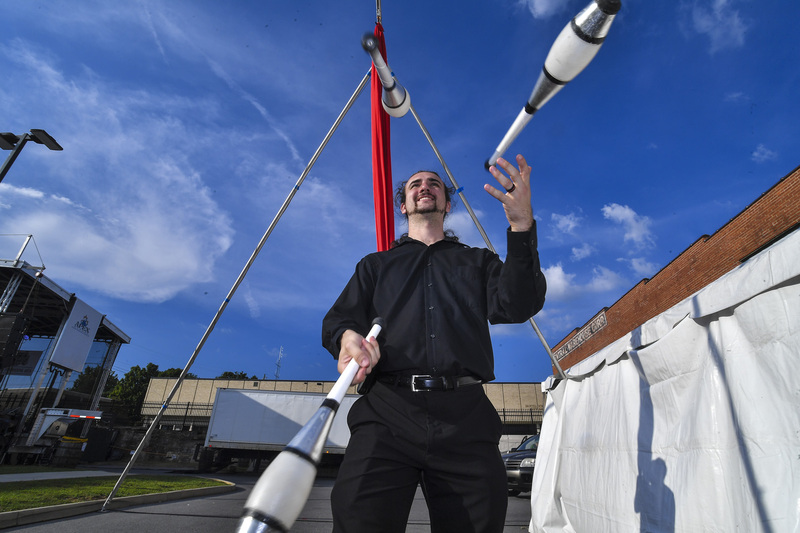 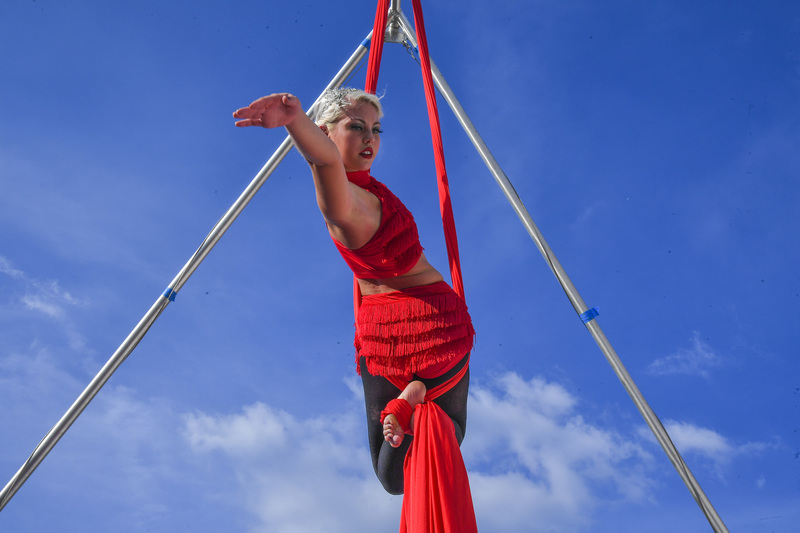 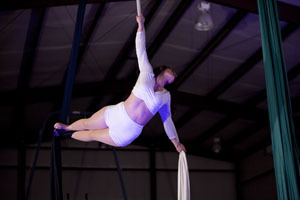 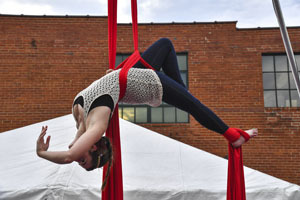 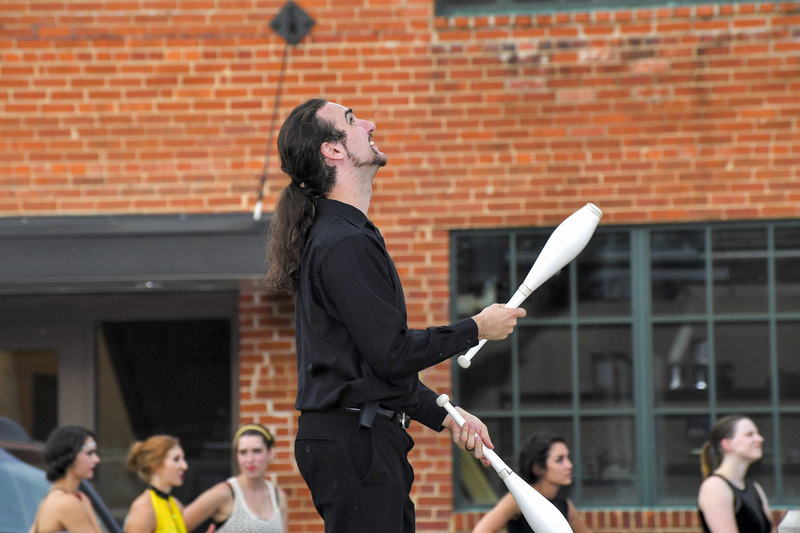 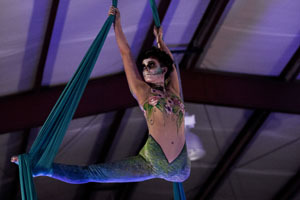 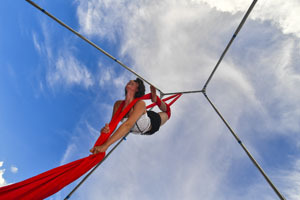 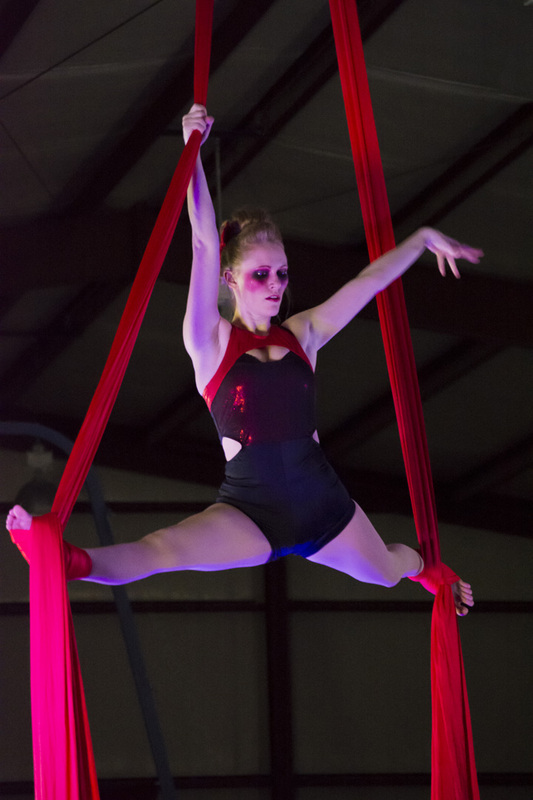 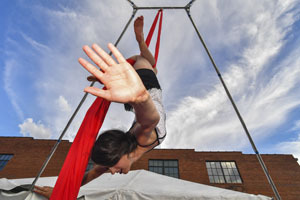 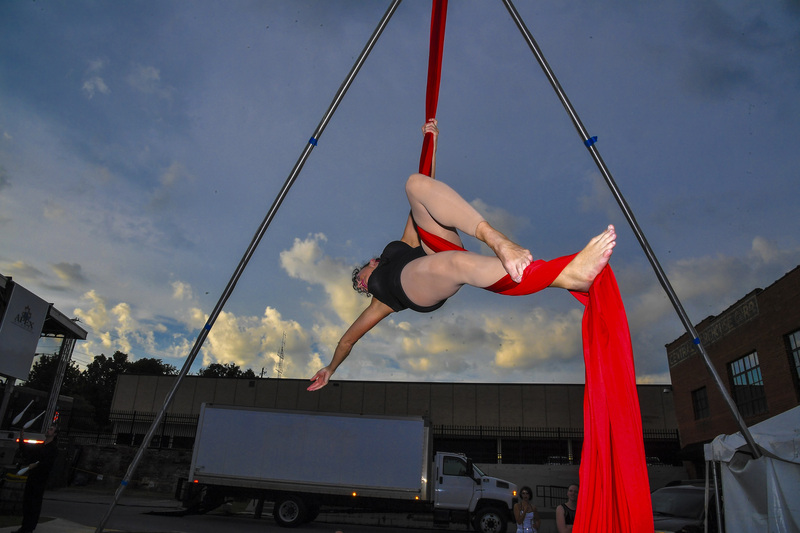 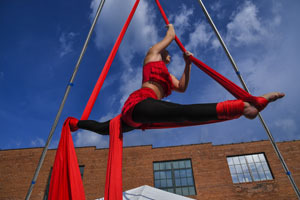 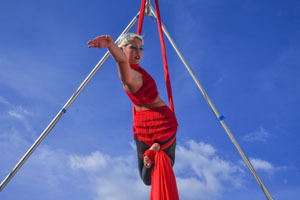 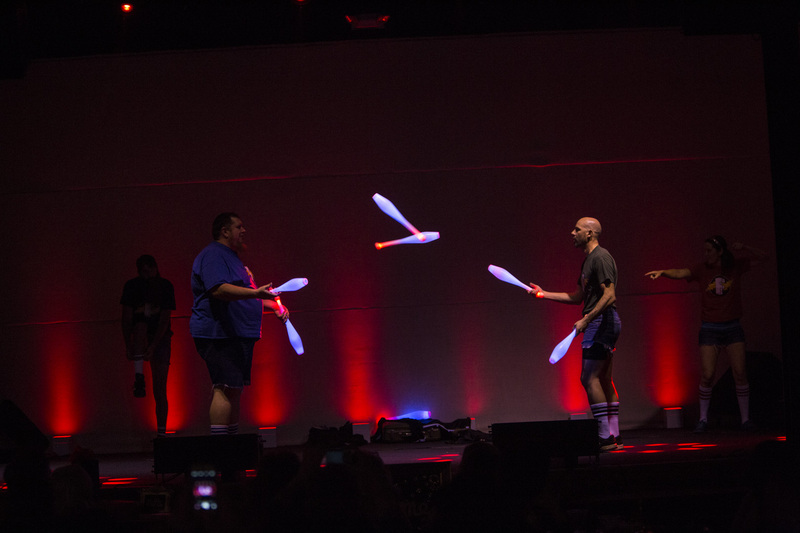 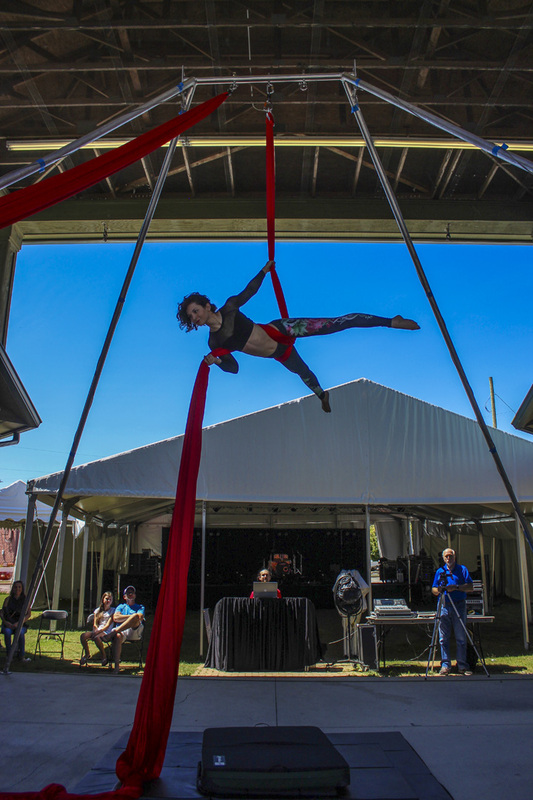 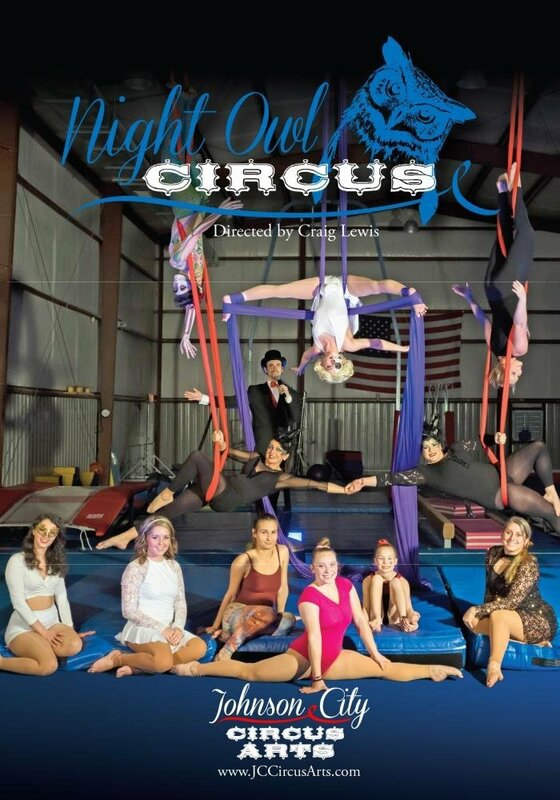 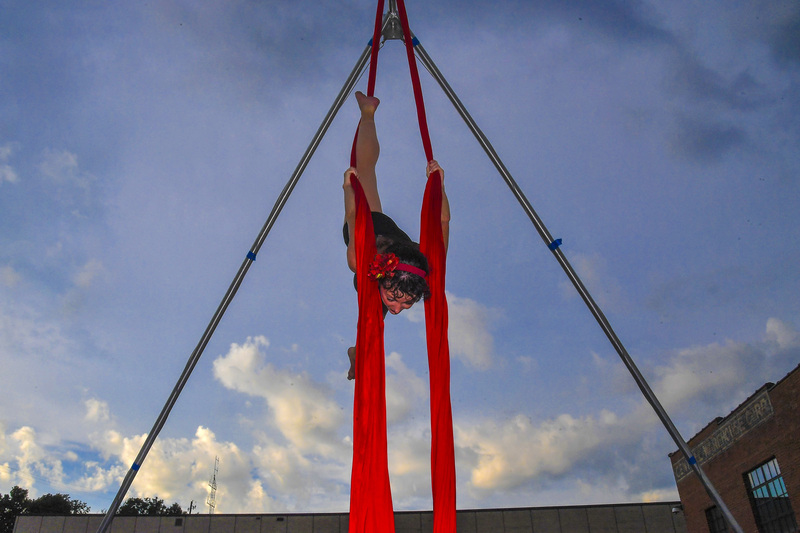 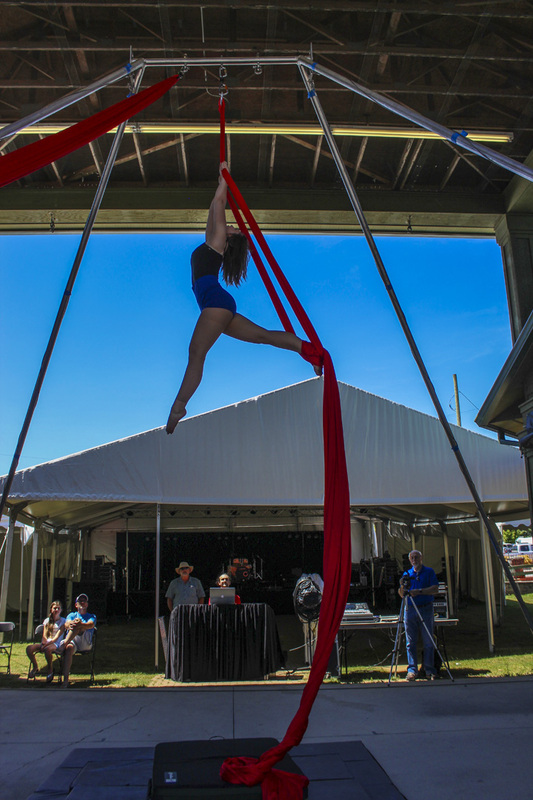 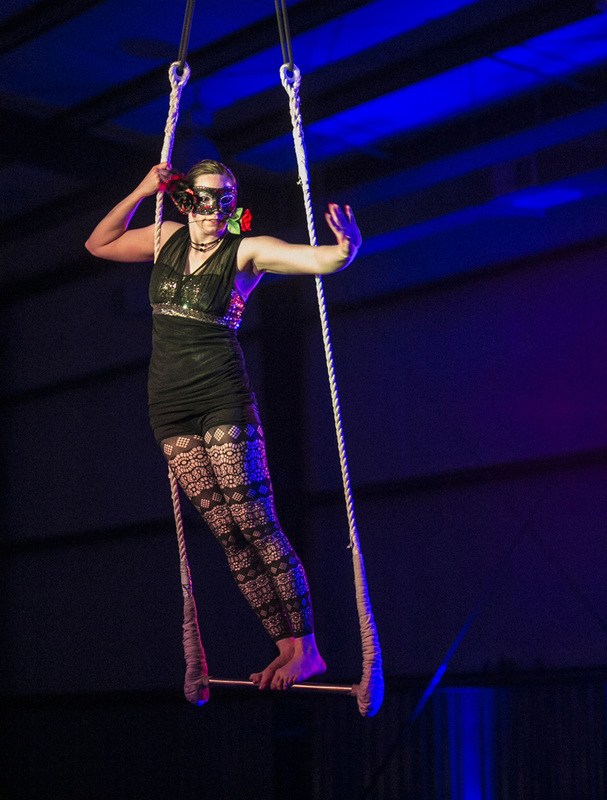 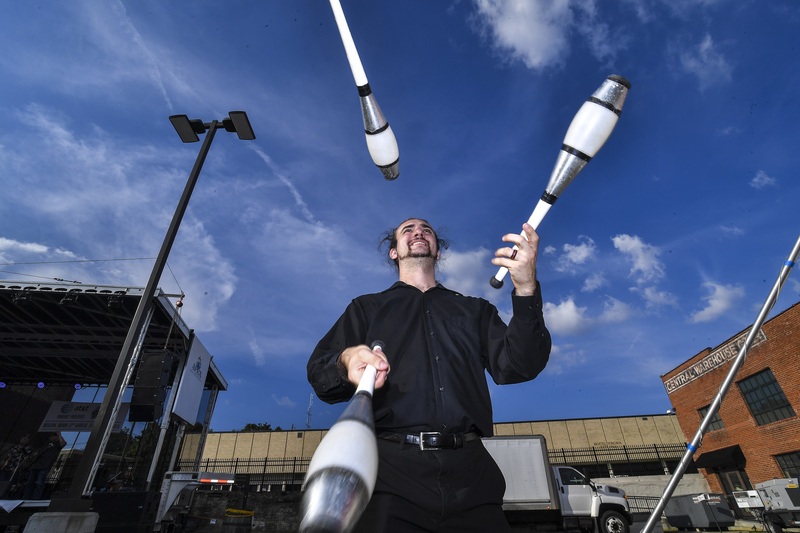 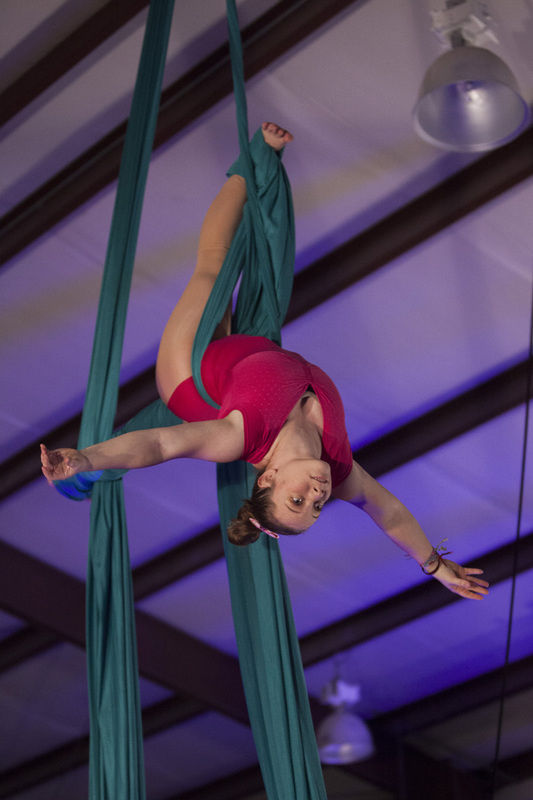 The Night Owls teamed up with Empyrean Arts from Asheville to put on this incredible show for the Blue Plum Festival, featuring juggling, static trapeze, corde lisse, and aerial silks! 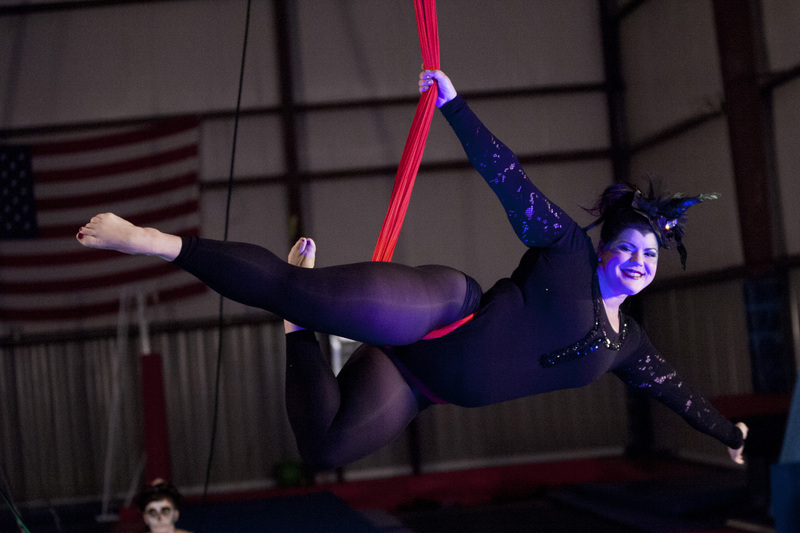 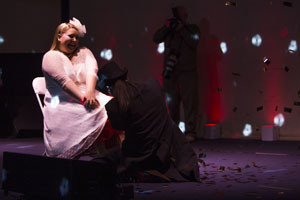 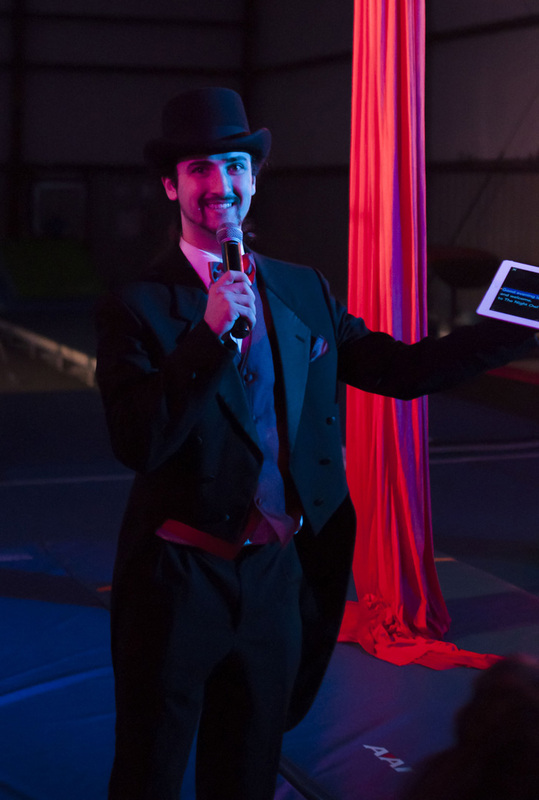 The third Night Owl Circus was a Halloween show! 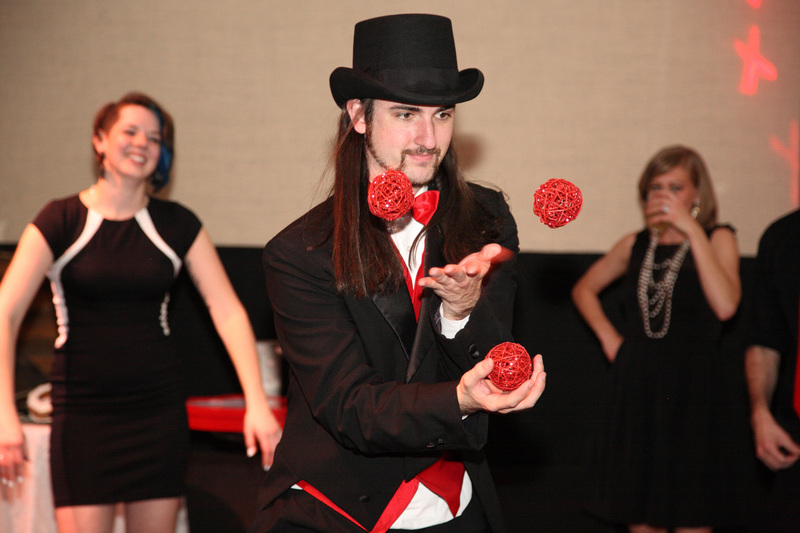 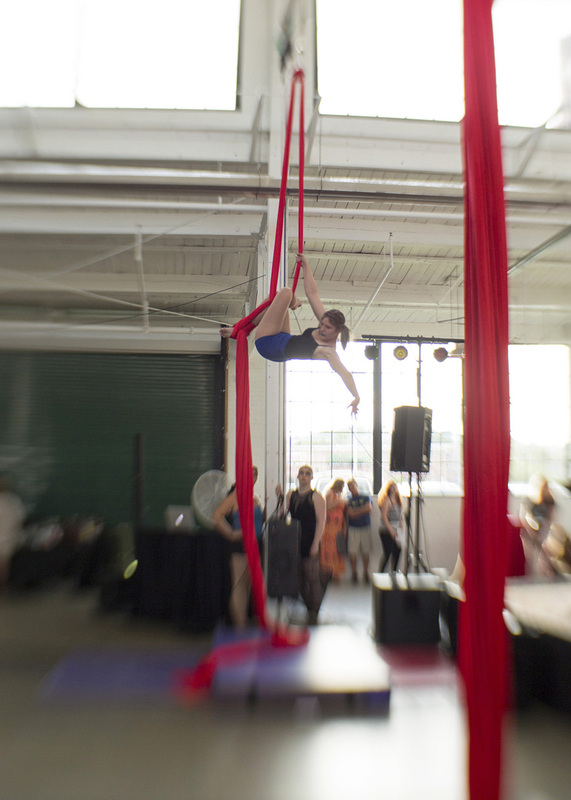 The Night Owls provided outdoor entertainment for the Healing Hands Fundraising Gala at Studio Brew! 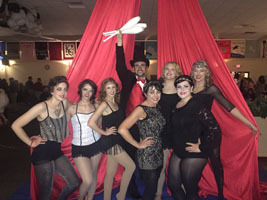 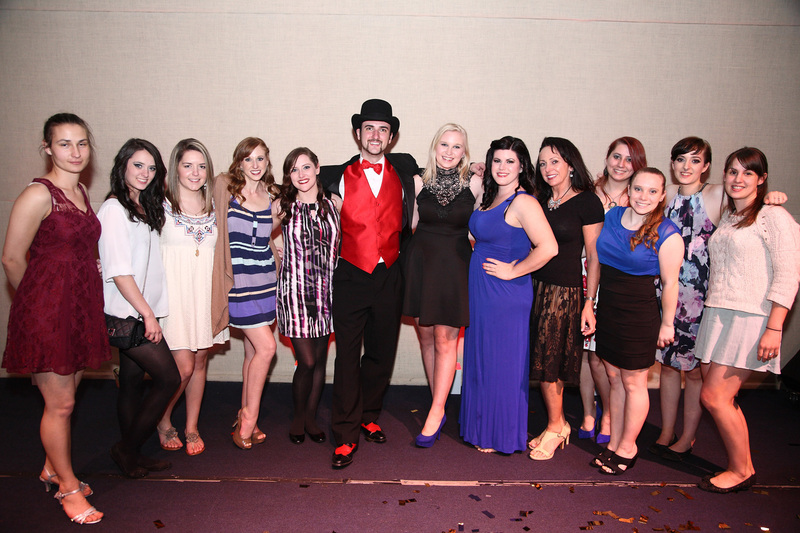 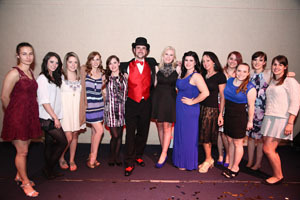 A great time was had by all at this Gatsby-themed student event at King University! 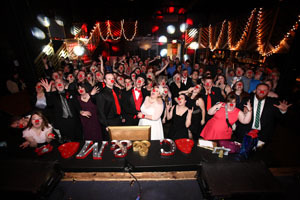 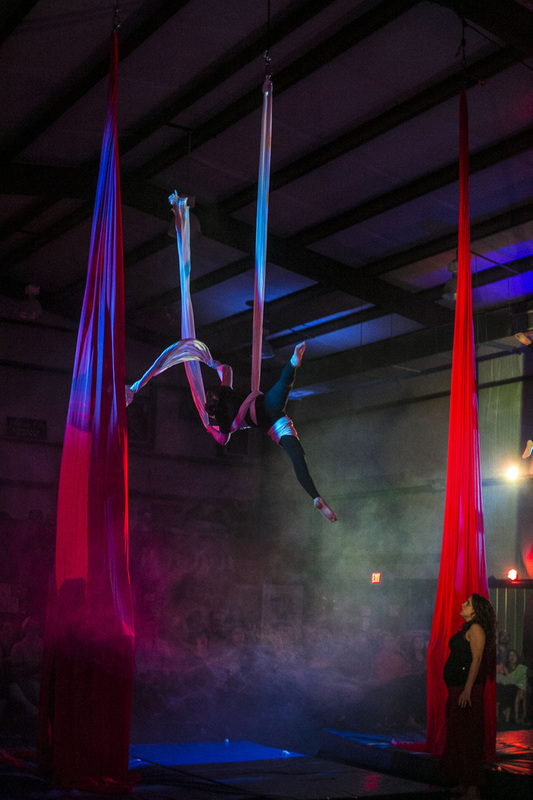 When NOCA owners Craig and Mikaela tied the knot, the Night Owls put on an amazing show in Asheville, NC! 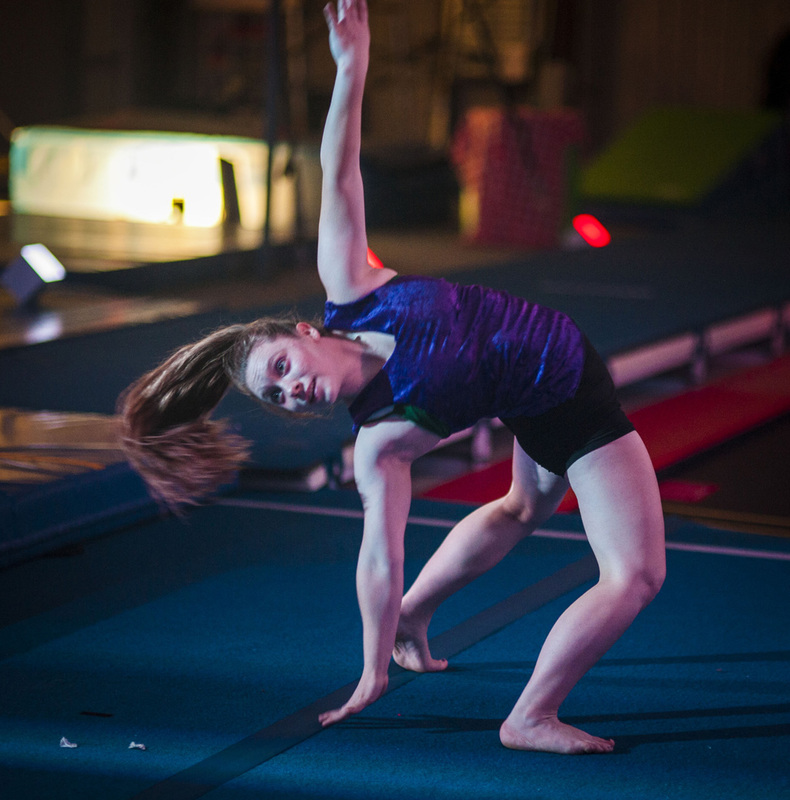 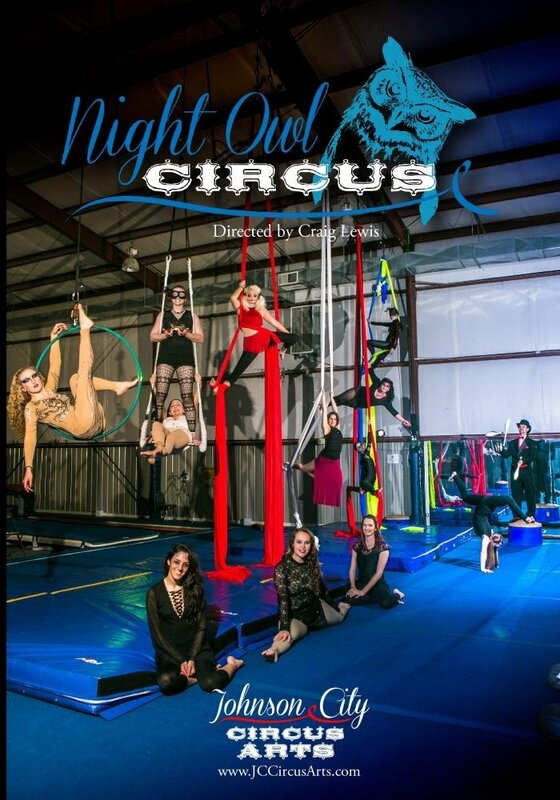 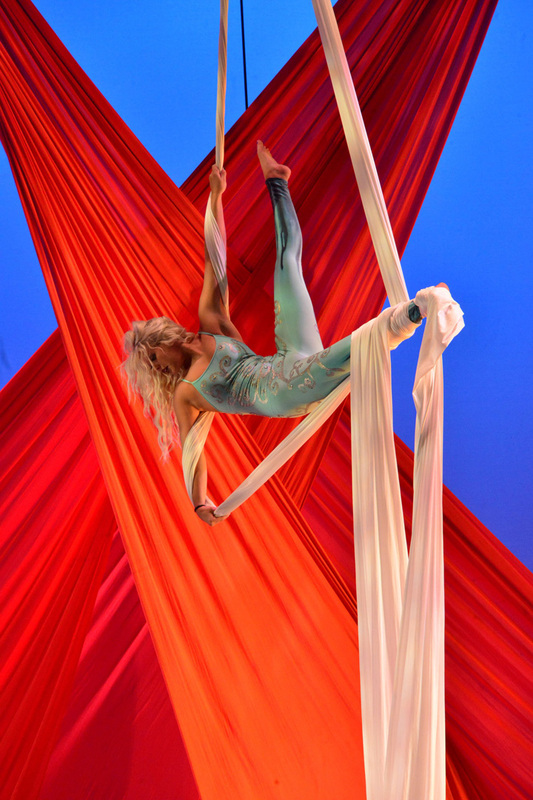 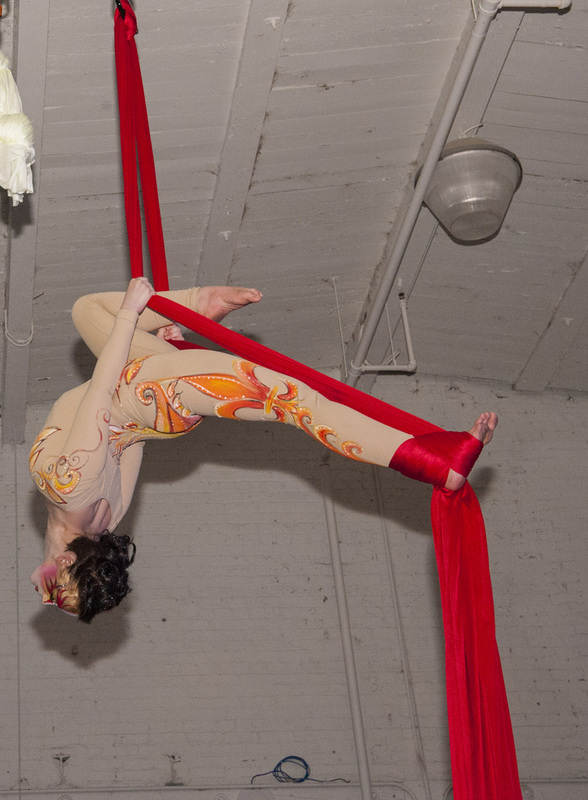 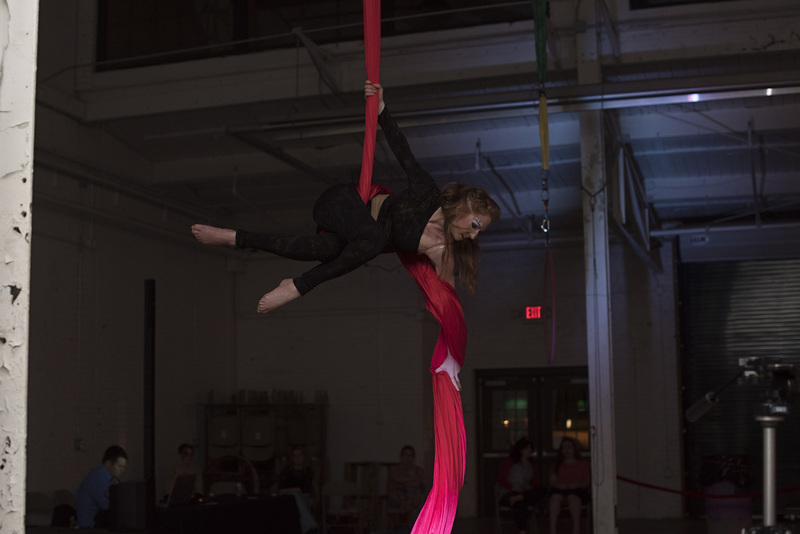 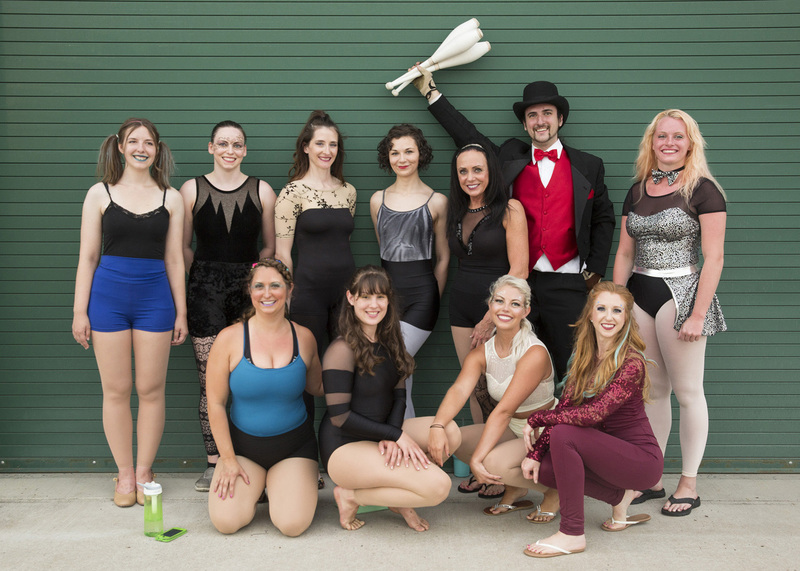 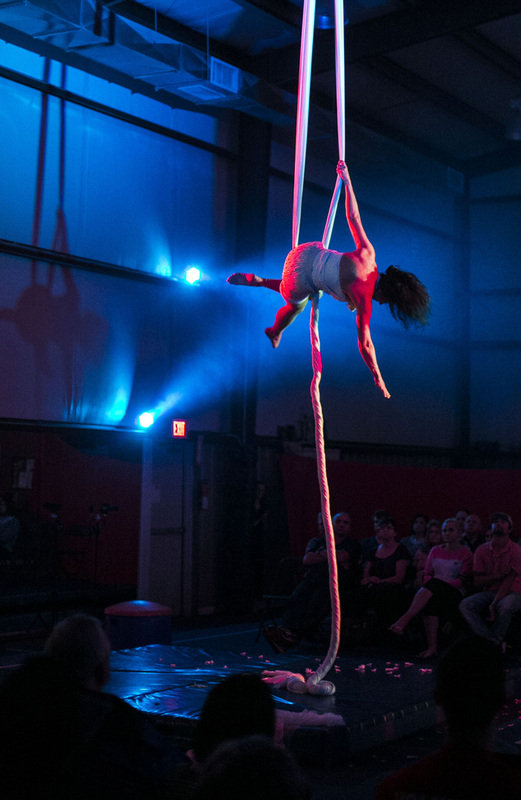 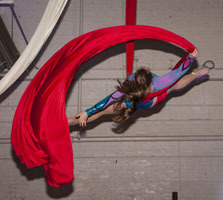 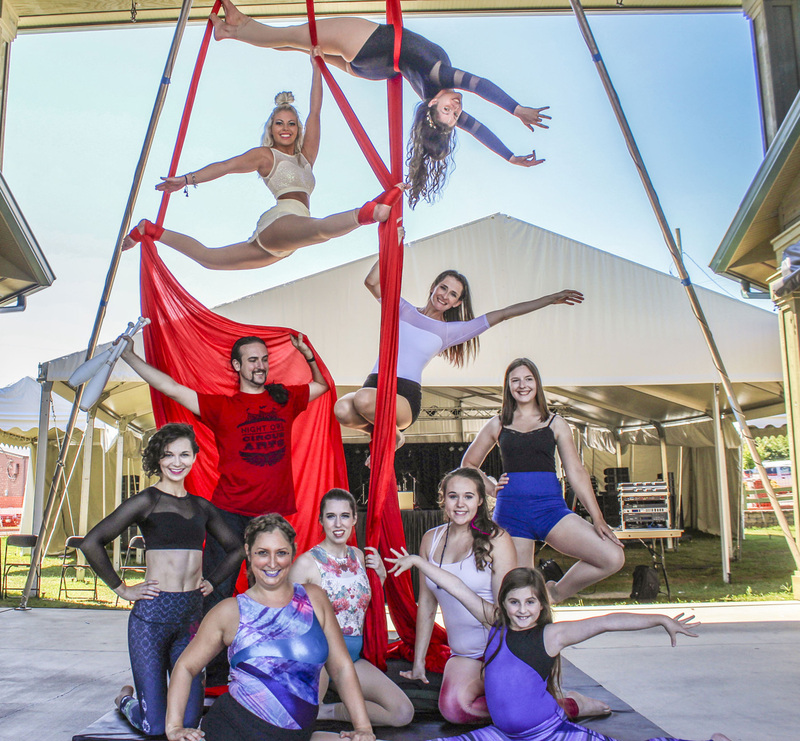 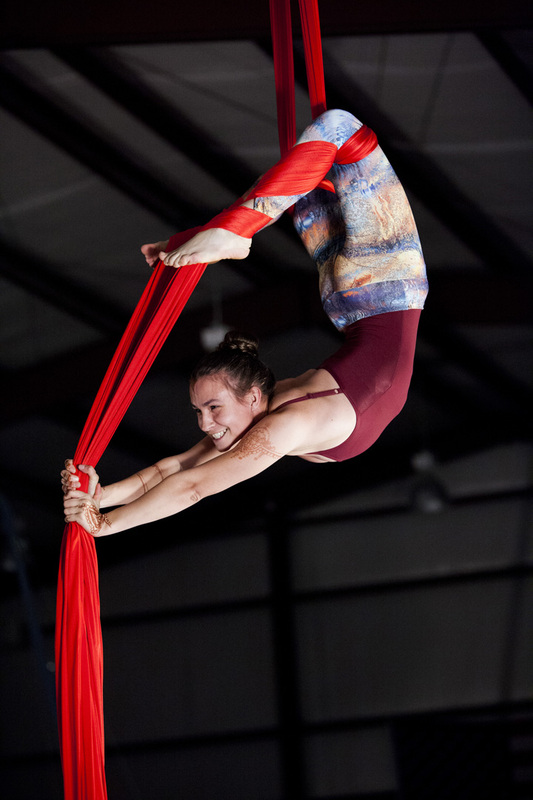 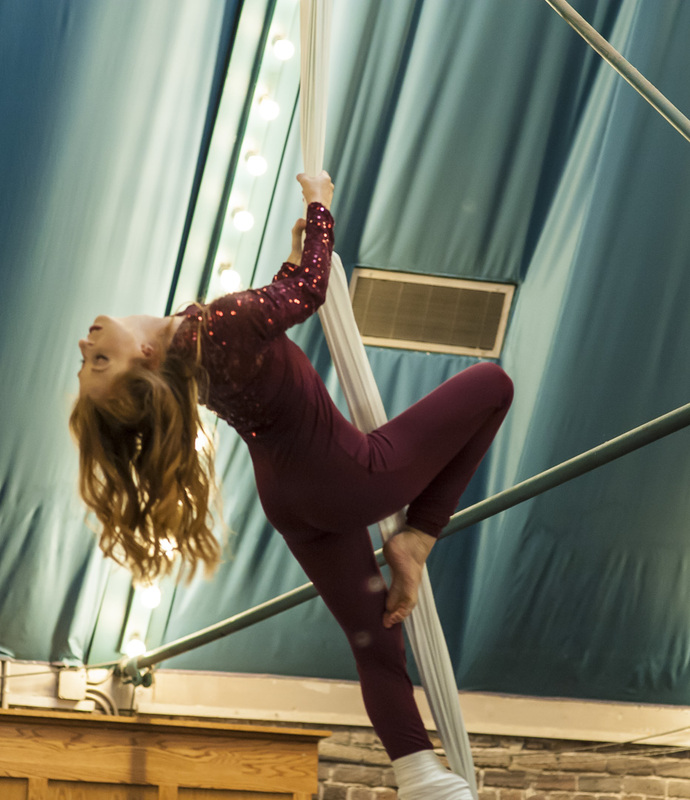 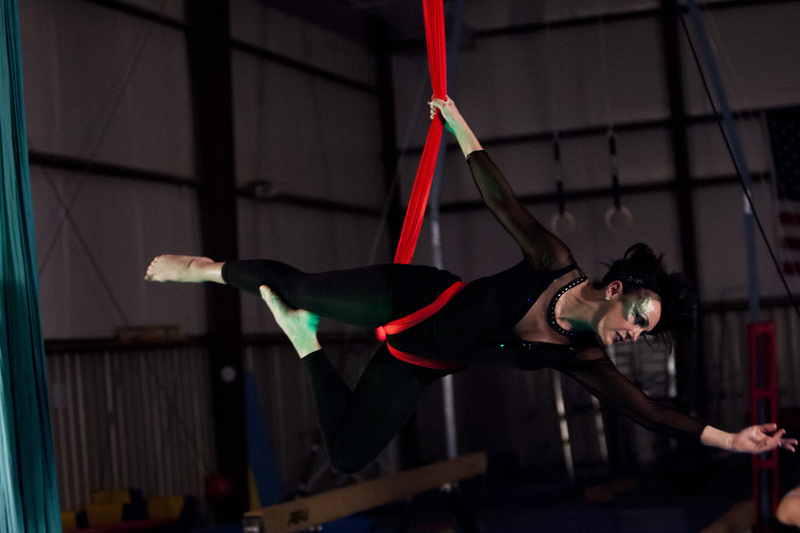 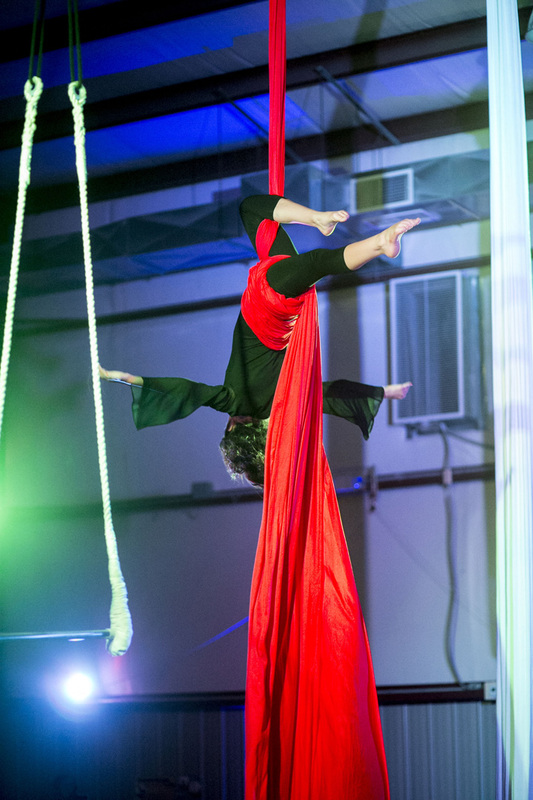 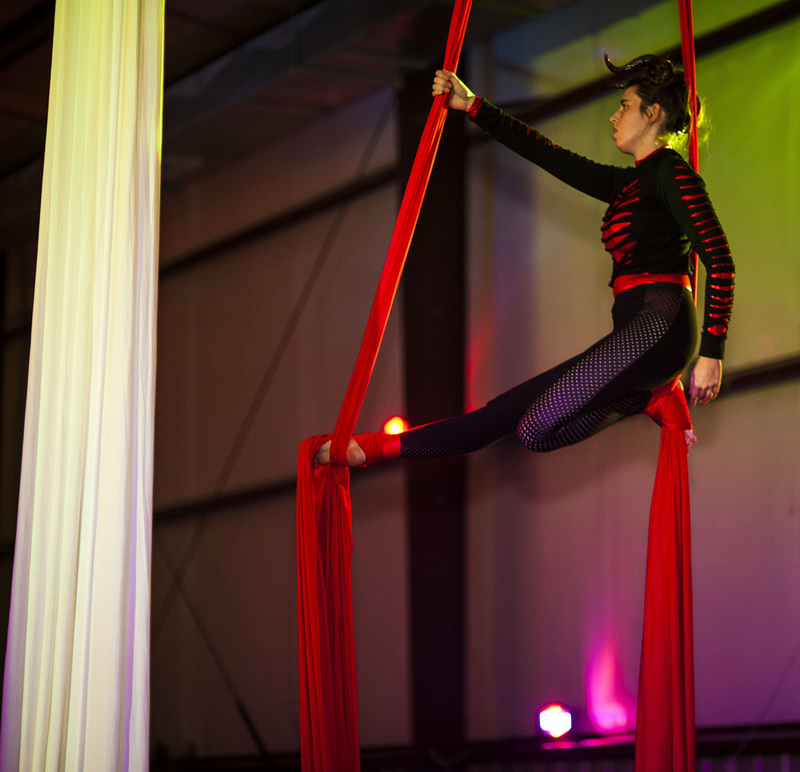 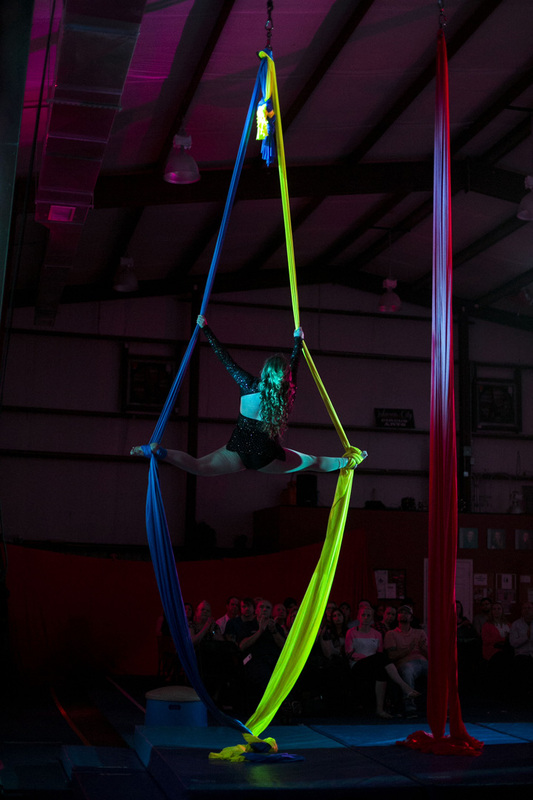 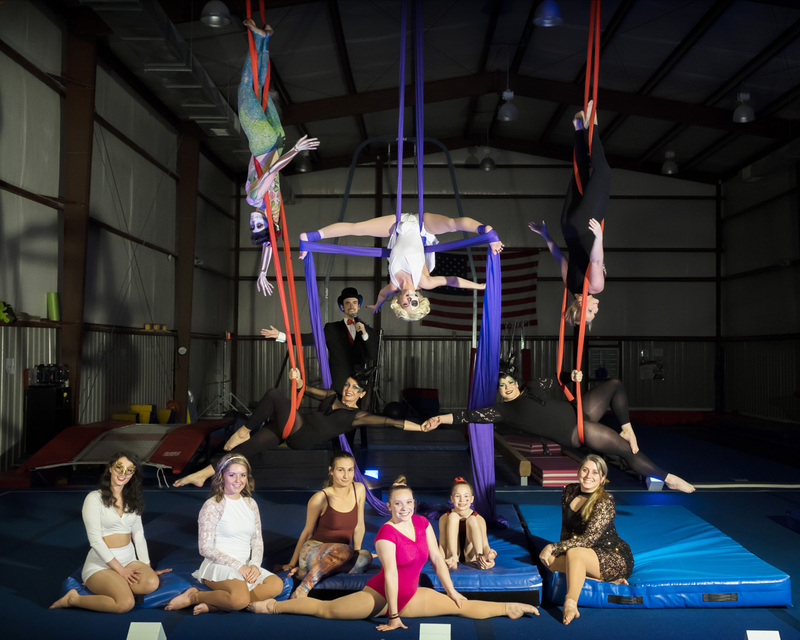 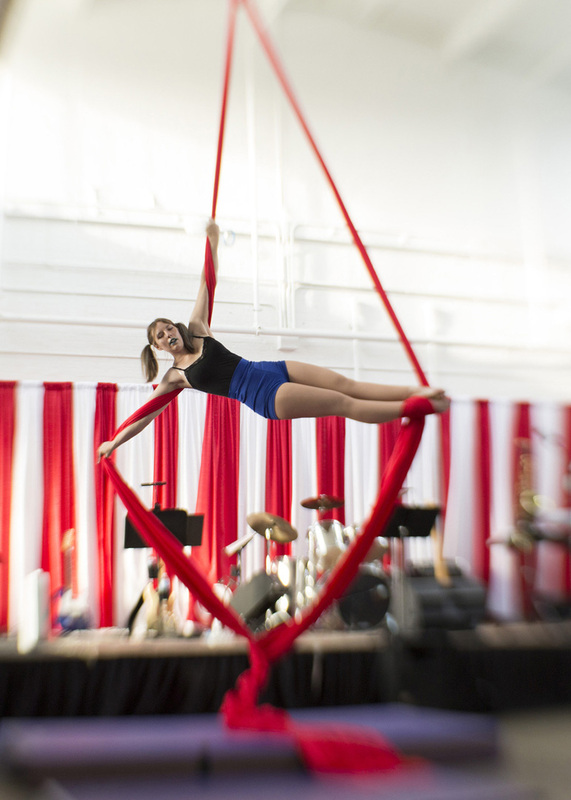 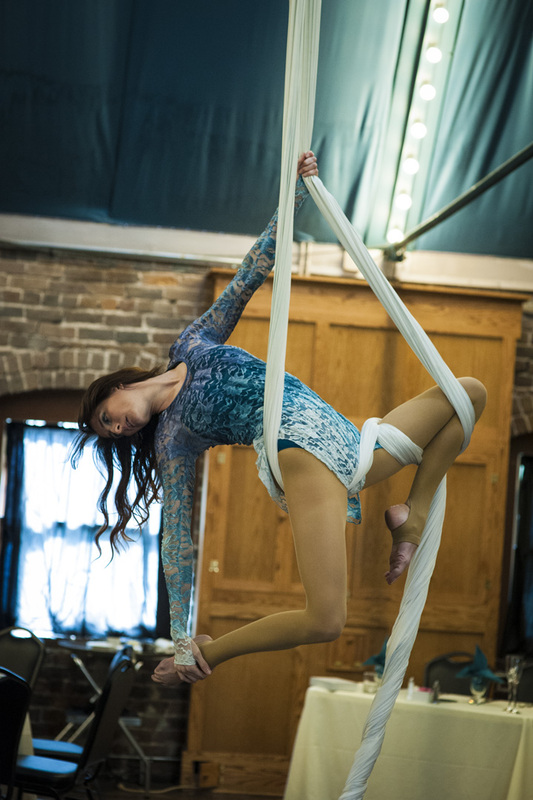 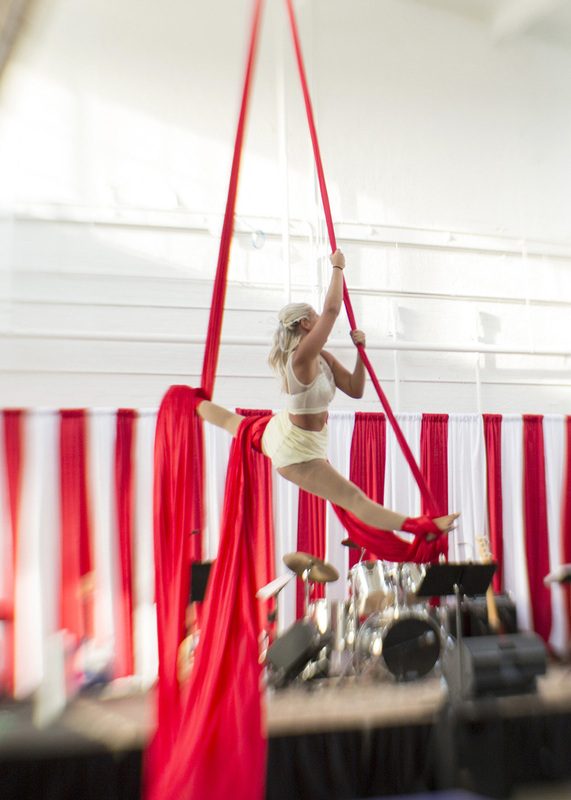 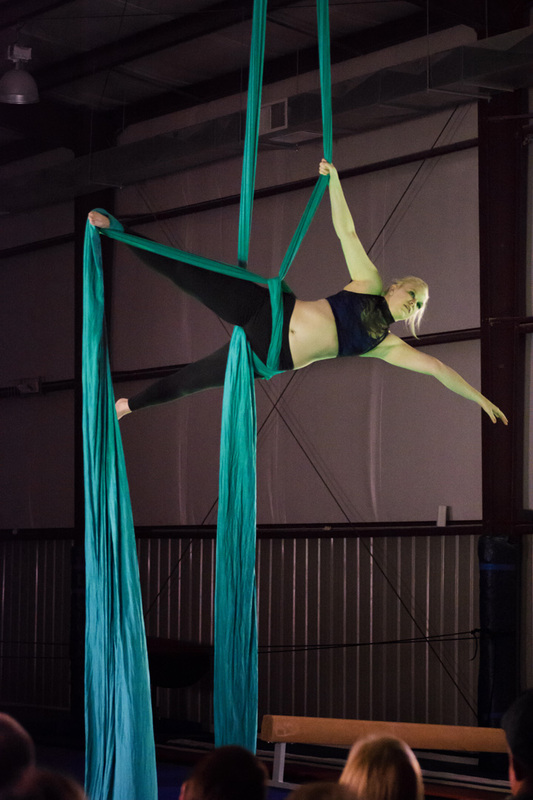 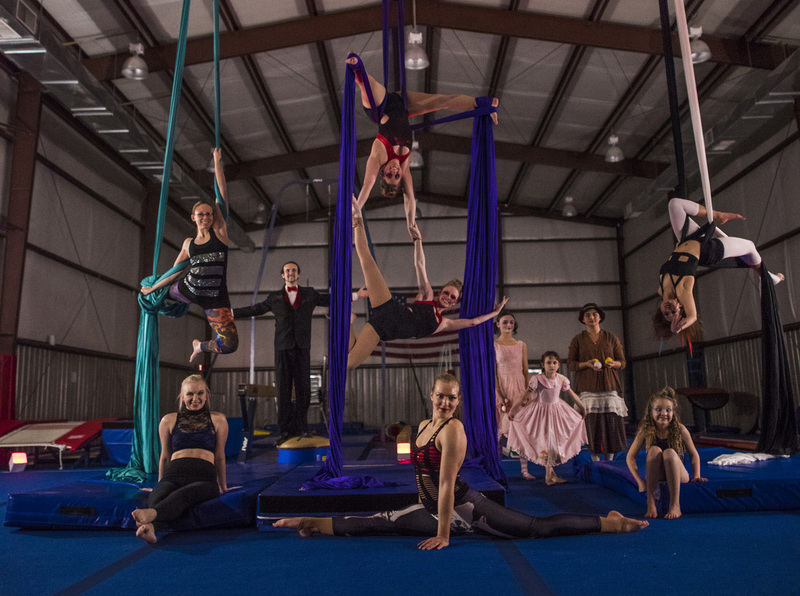 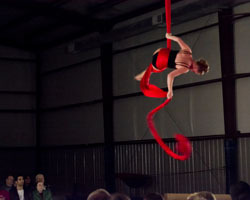 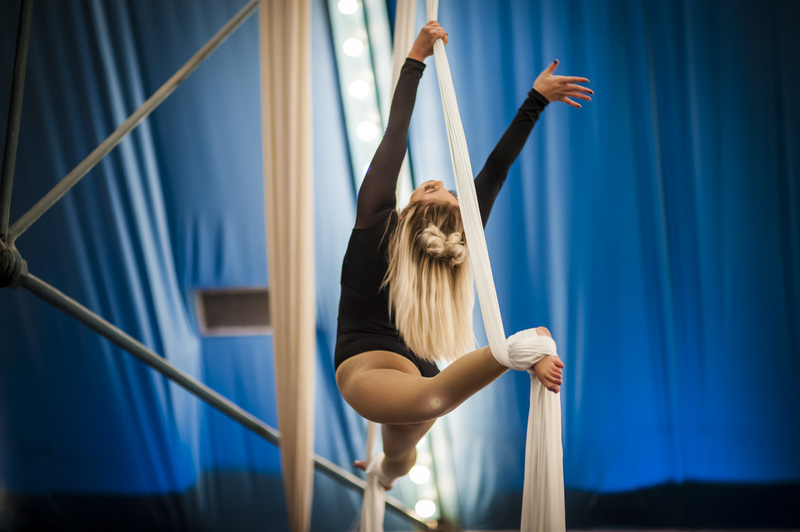 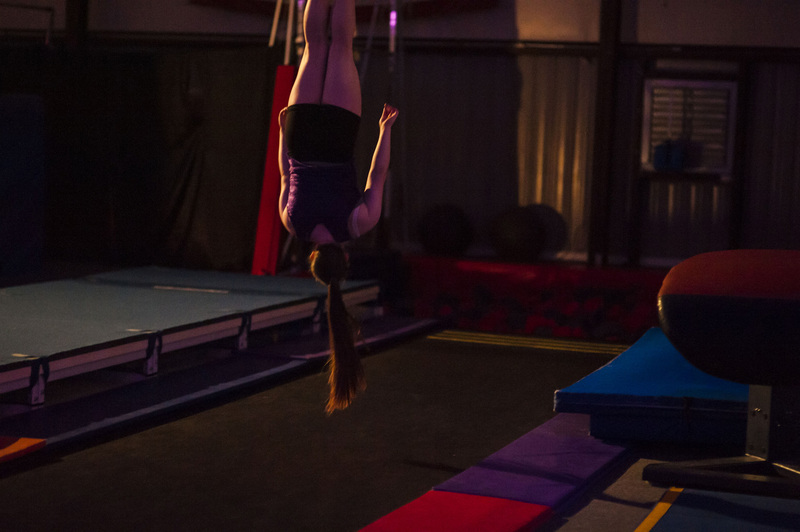 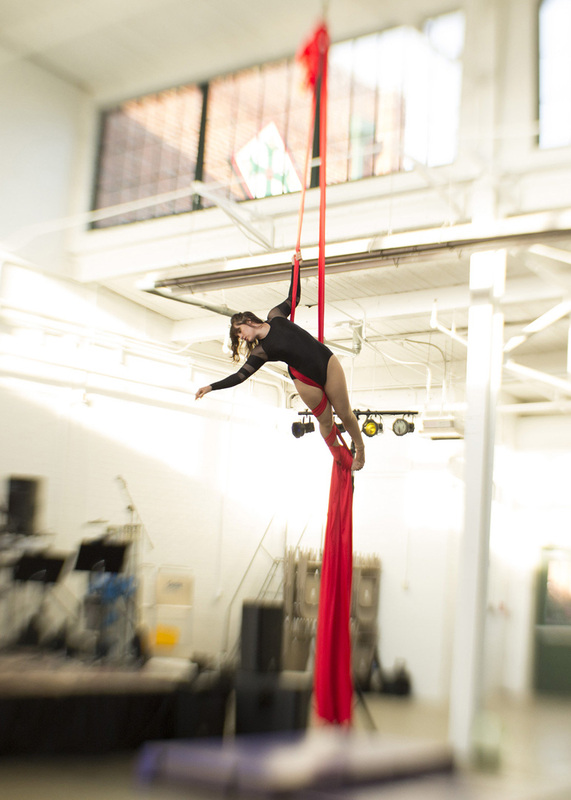 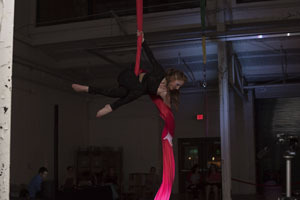 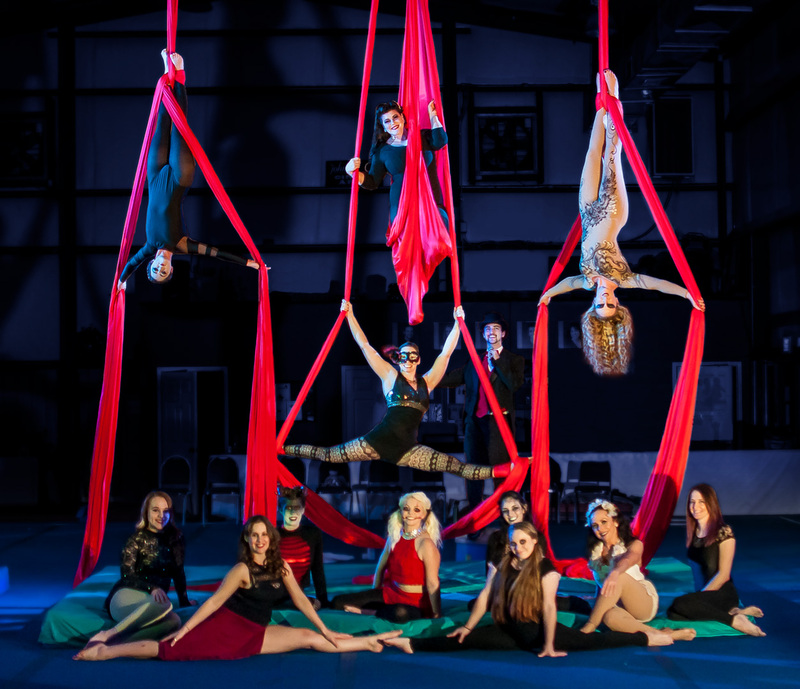 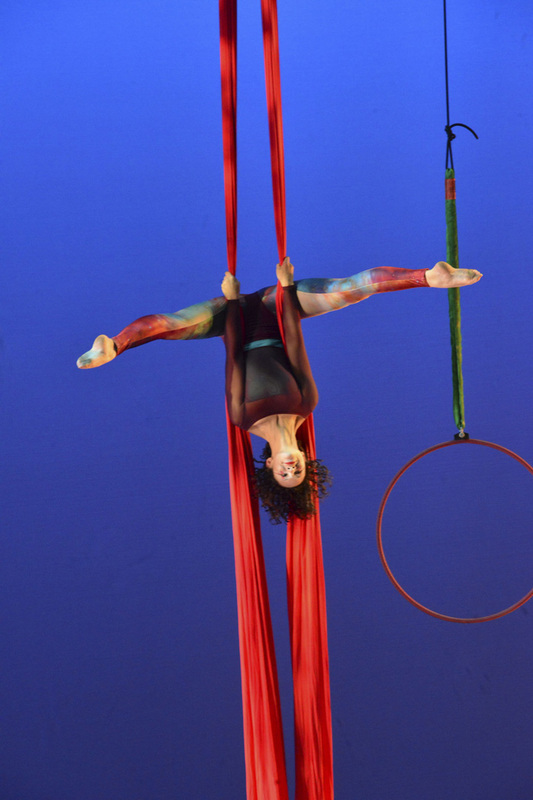 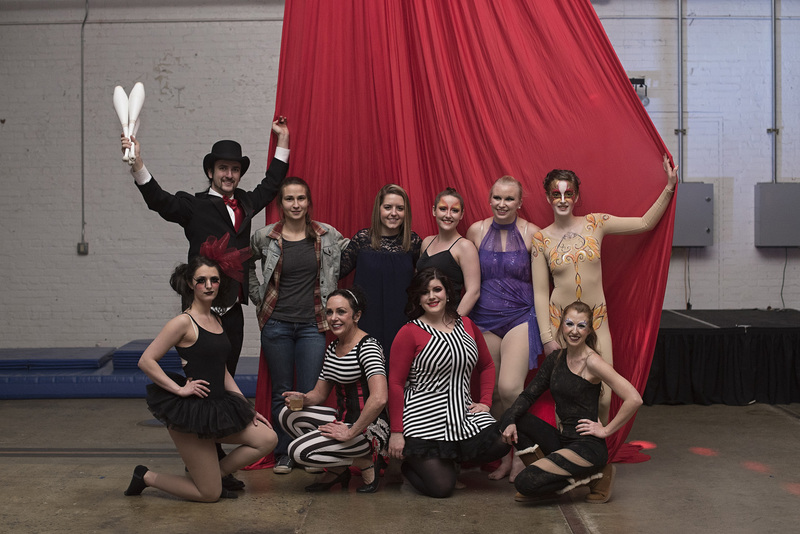 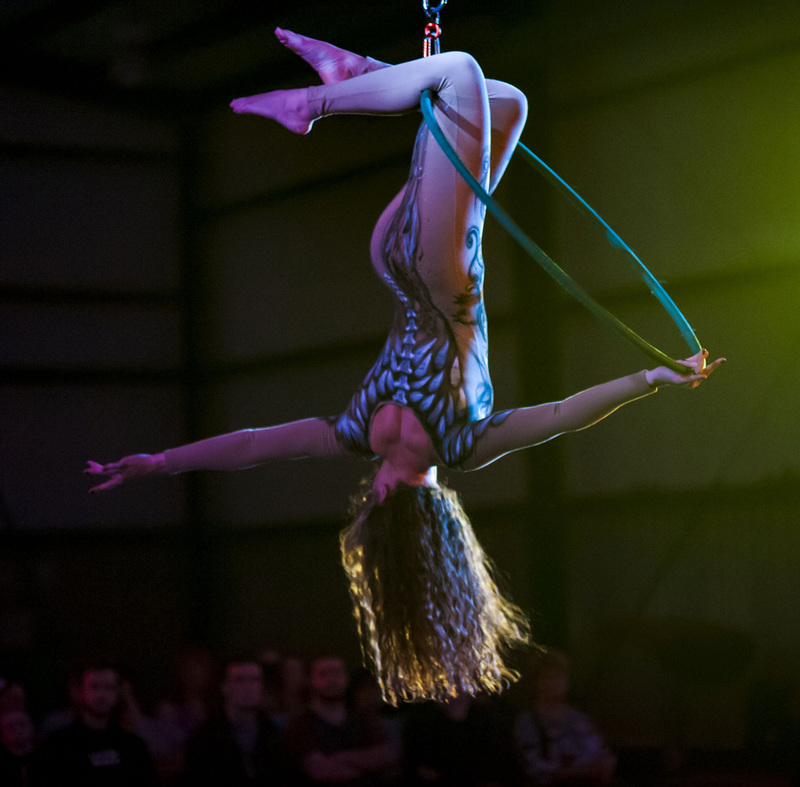 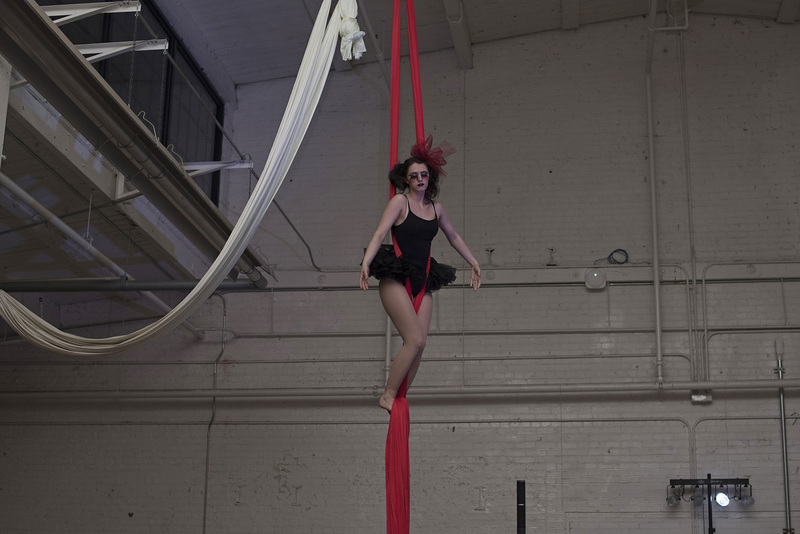 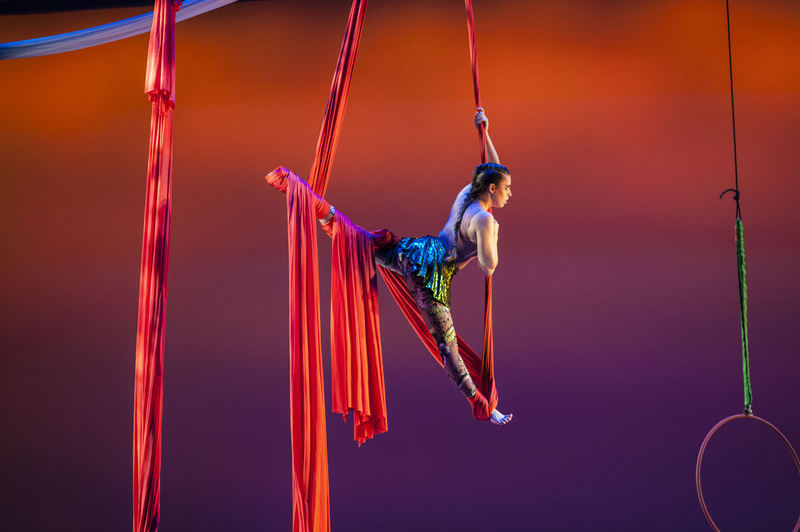 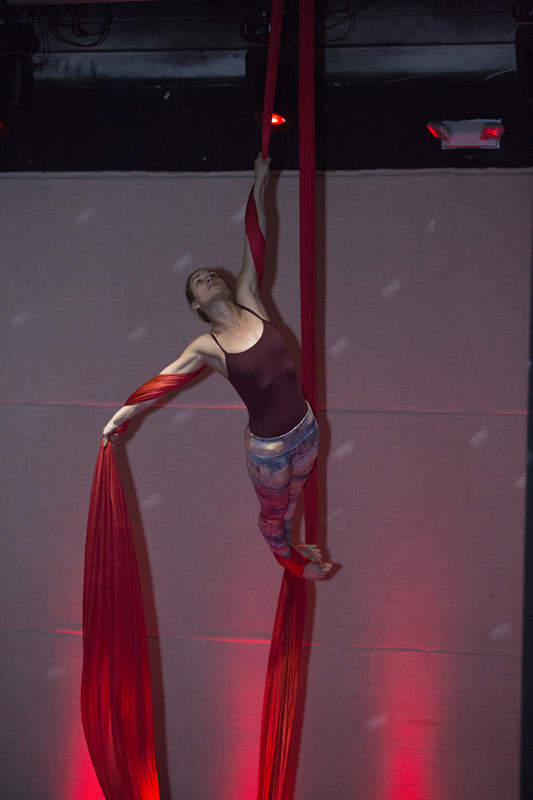 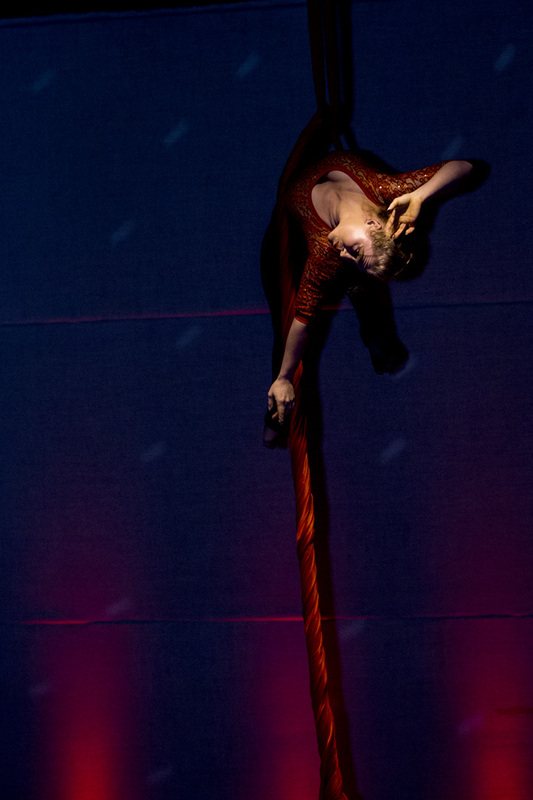 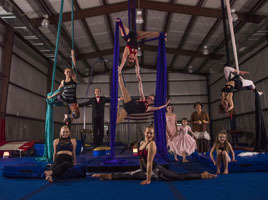 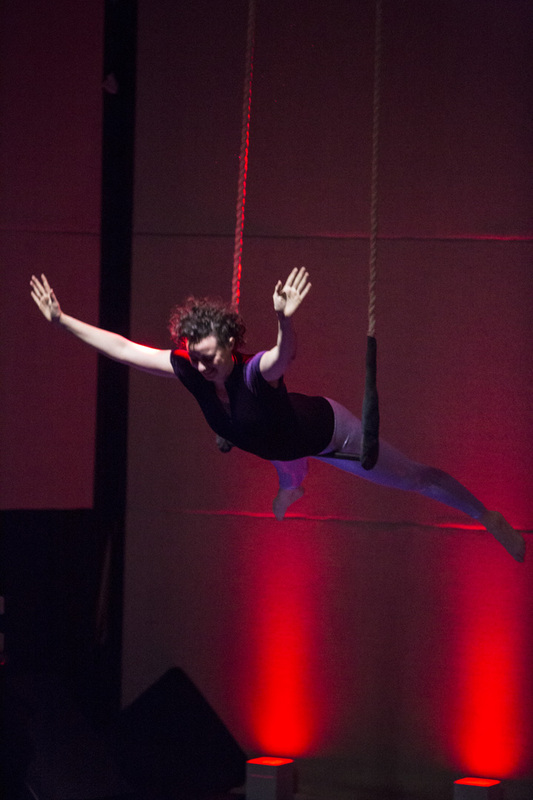 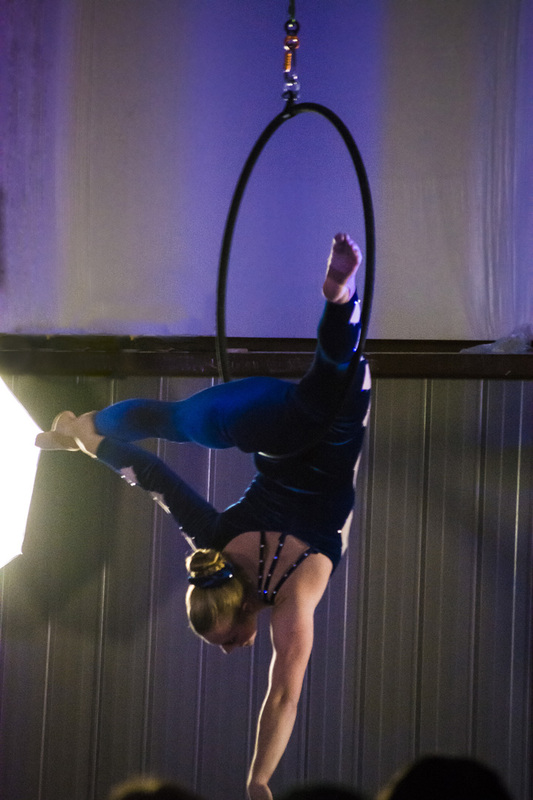 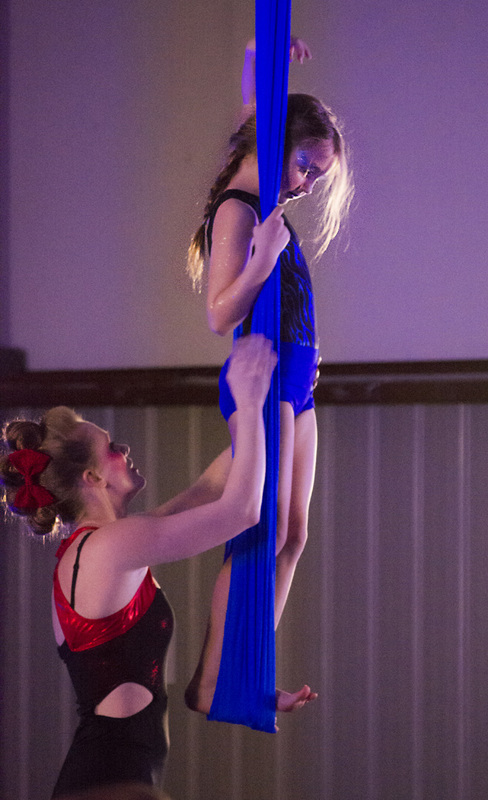 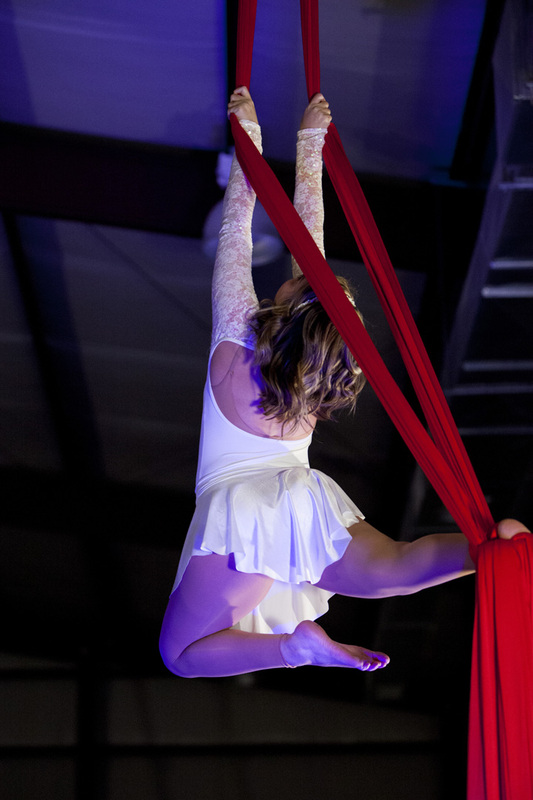 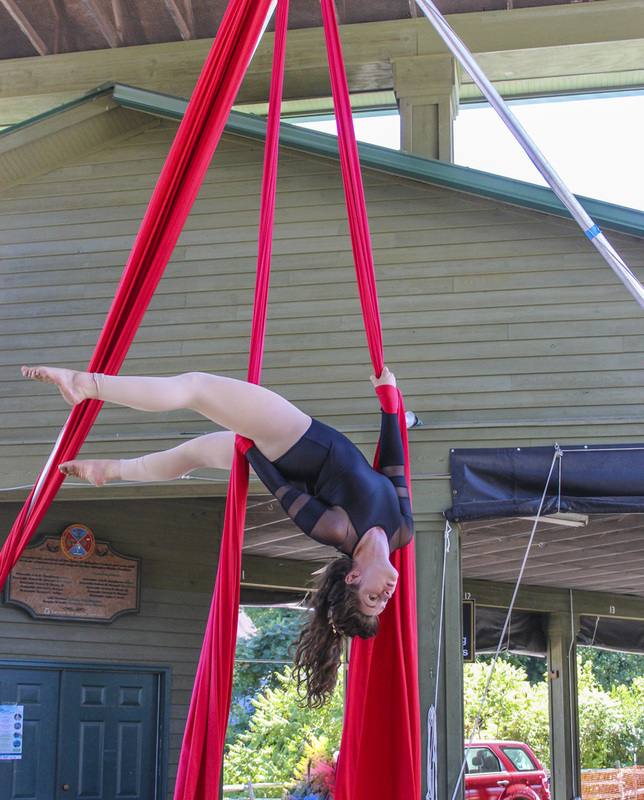 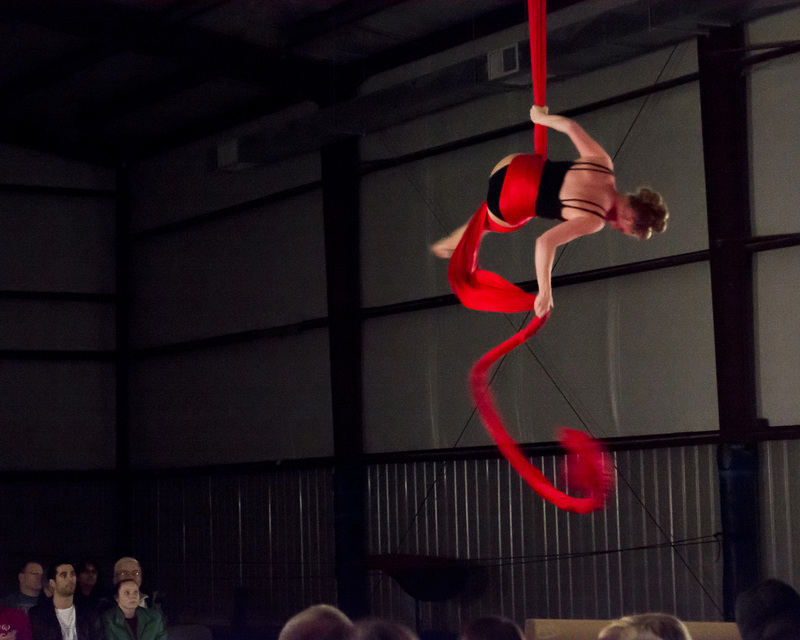 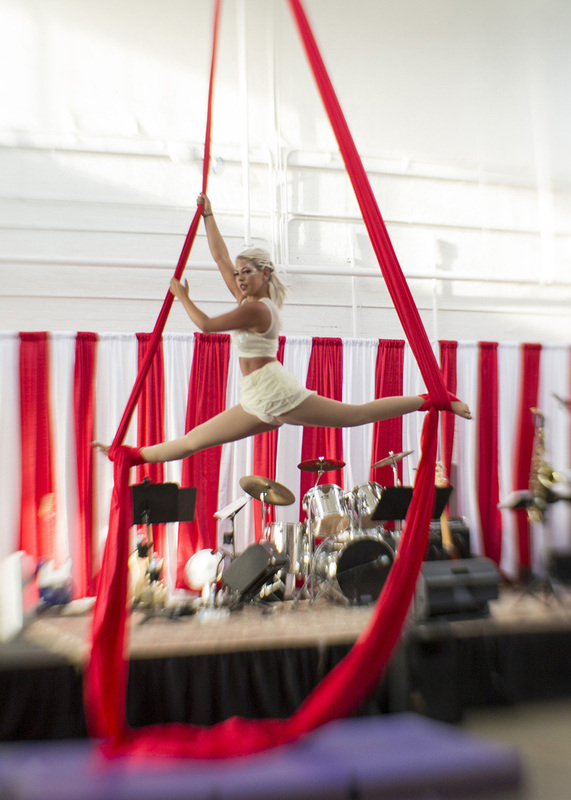 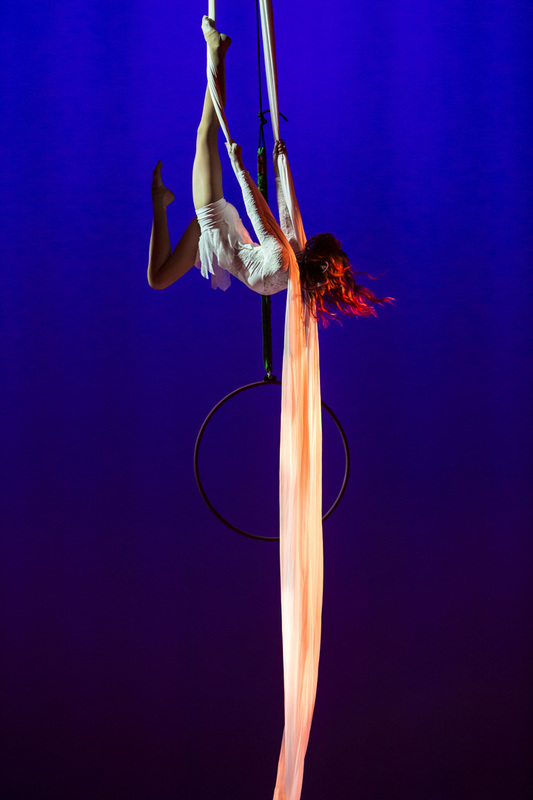 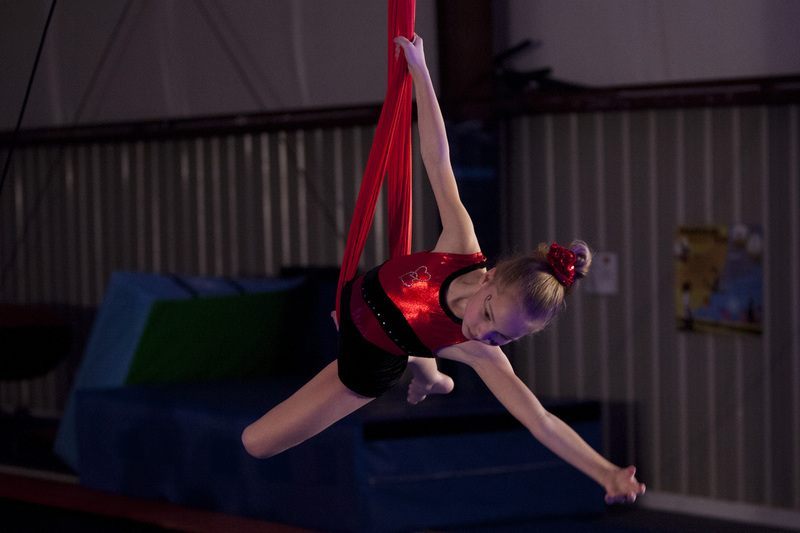 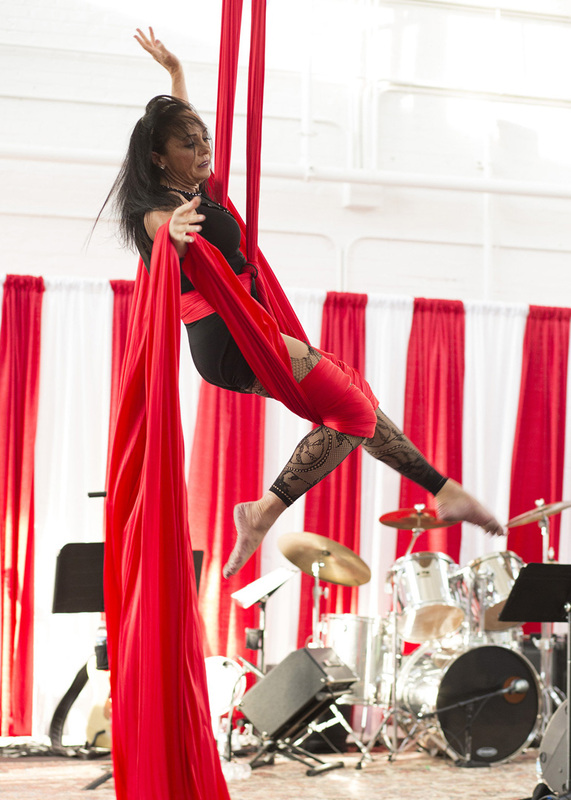 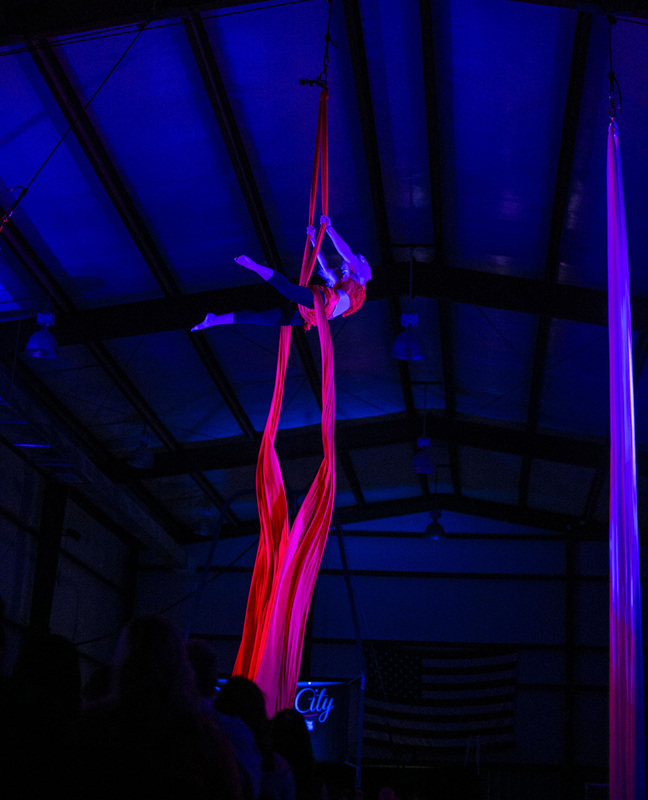 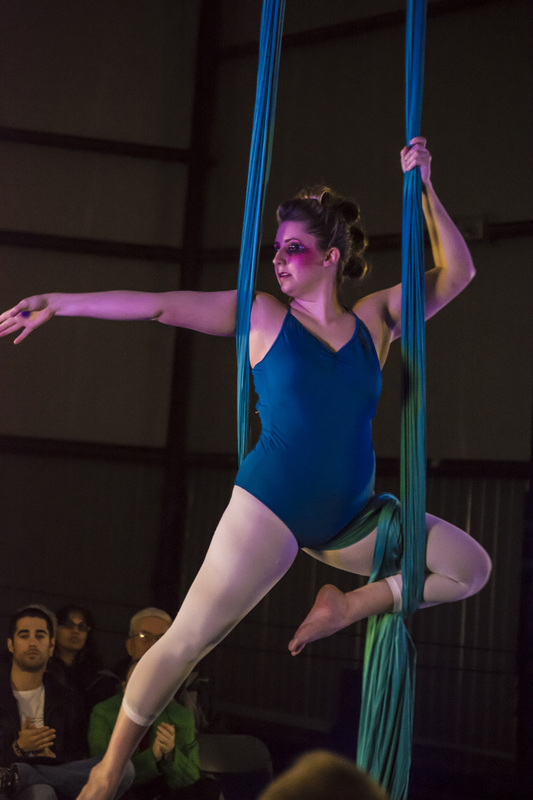 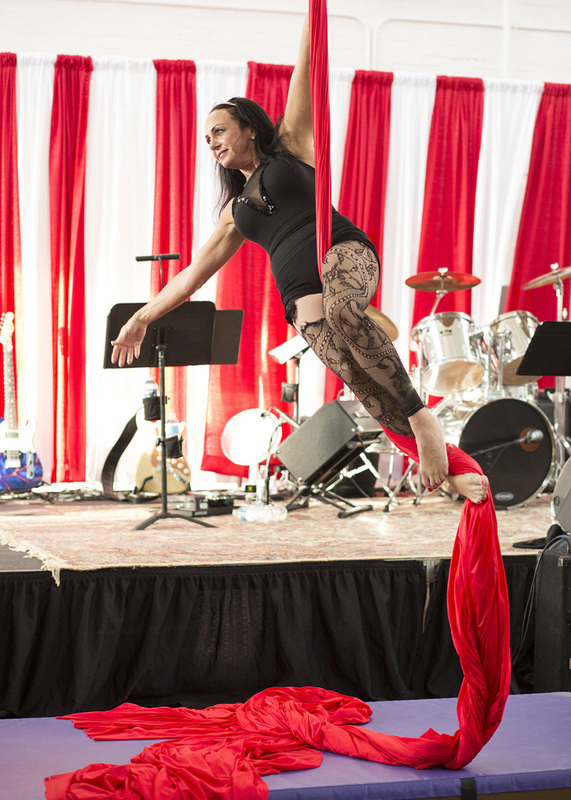 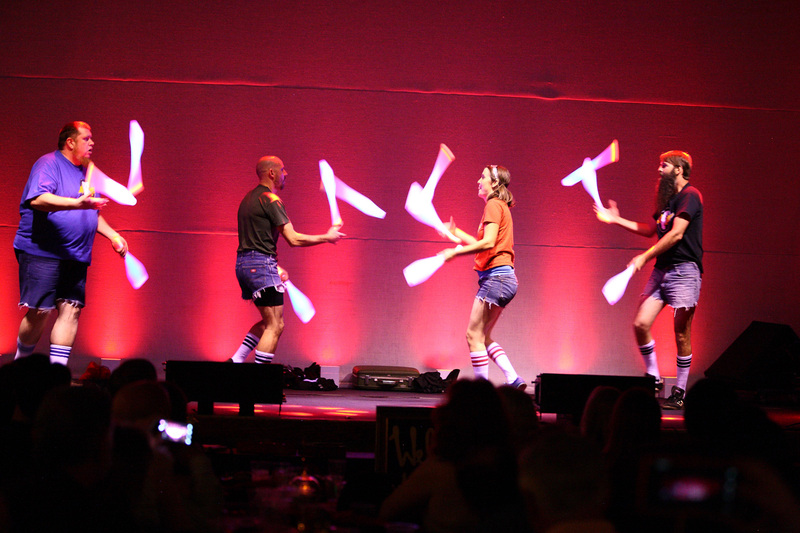 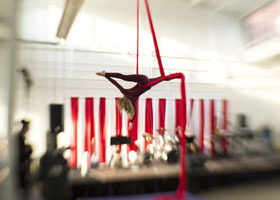 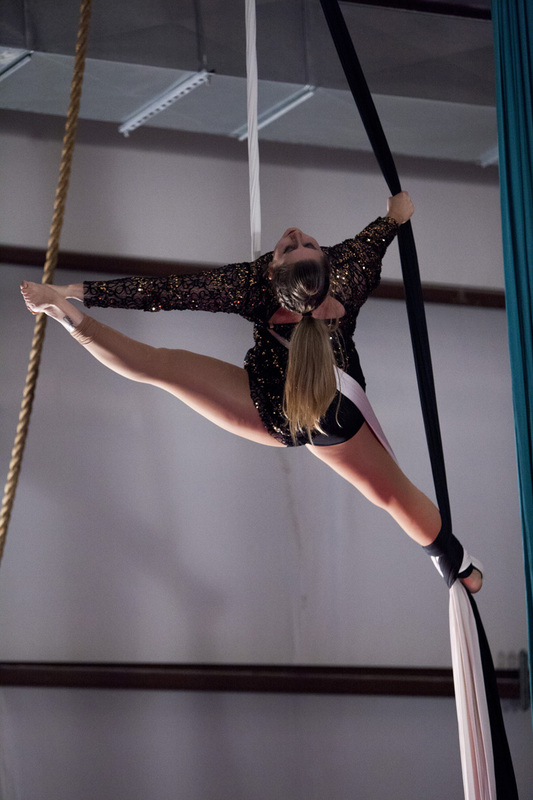 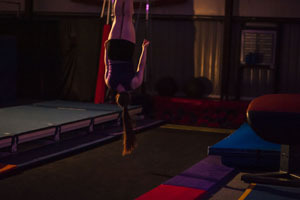 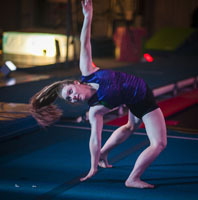 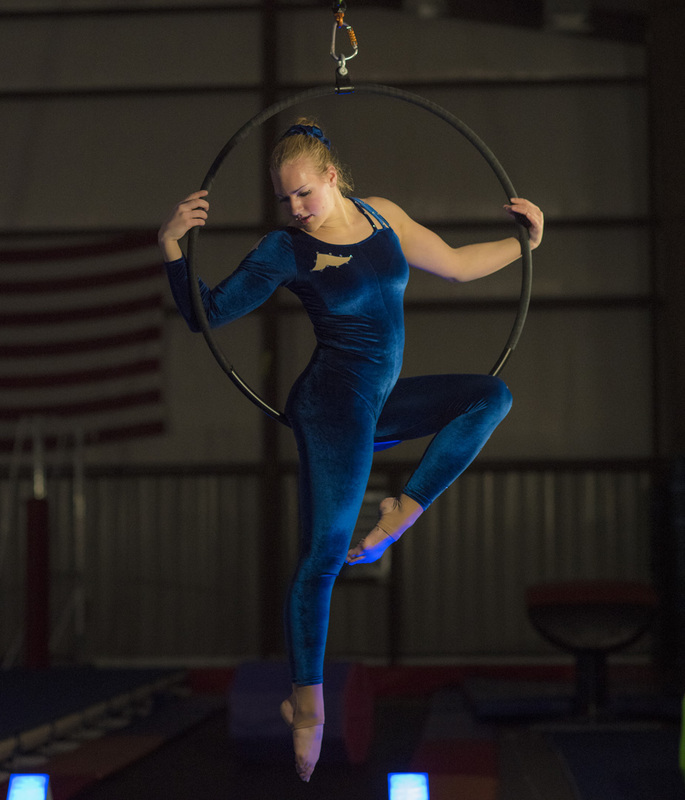 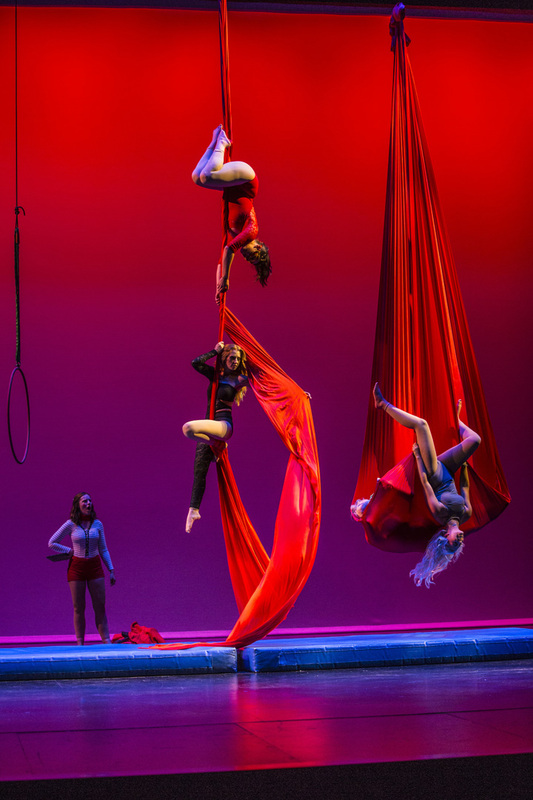 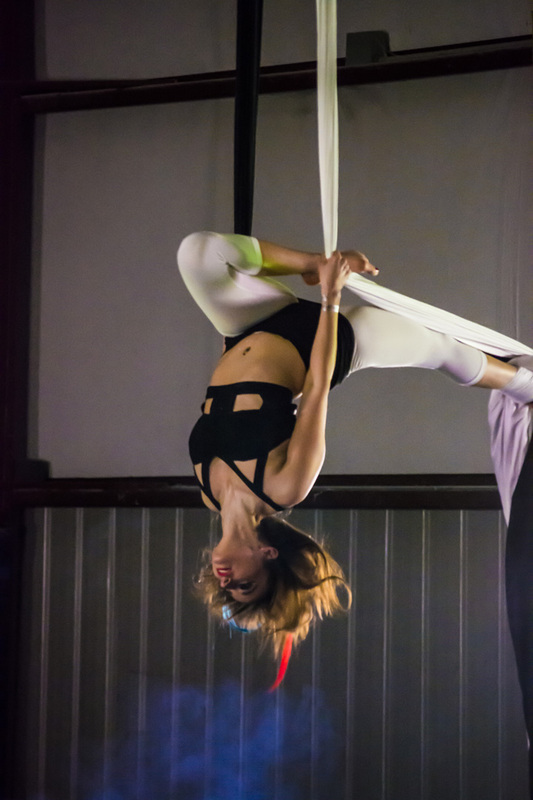 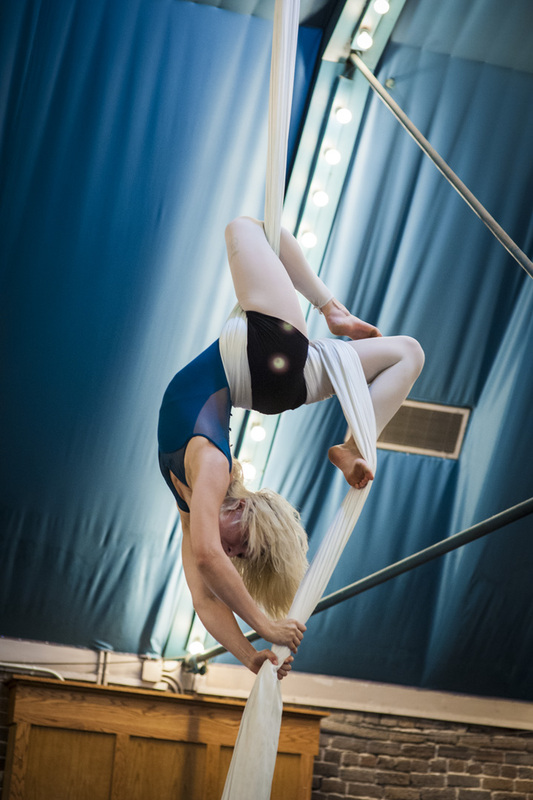 Our first ever performance at NOCA featured aerial silks, juggling, lyra, and tumbling!